Hello dear sewing chums, how are you all? 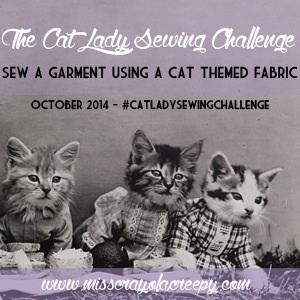 Have you guessed from my title that I haven’t actually got any sewing to share with you? Just telling you up front so that you can move onto the next blog if you don’t want to read my ramblings. 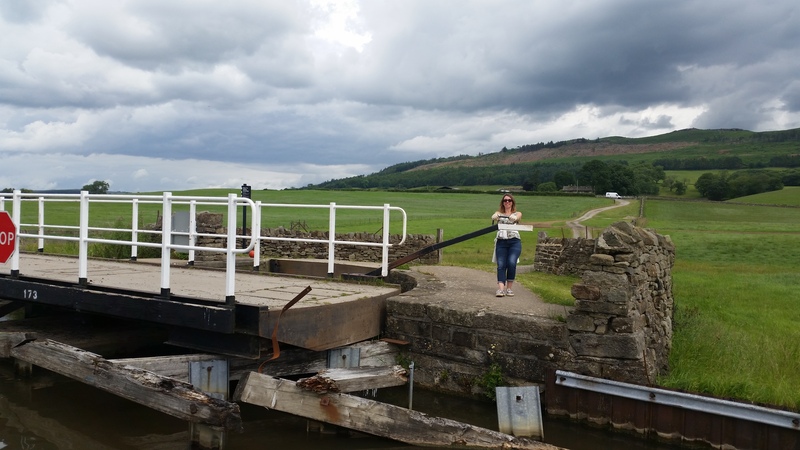 Anyway, I am back from ten glorious days in Yorkshire seeing my cousins (my mum’s side of the family are all in Wakefield) and pootling about on a narrow boat. 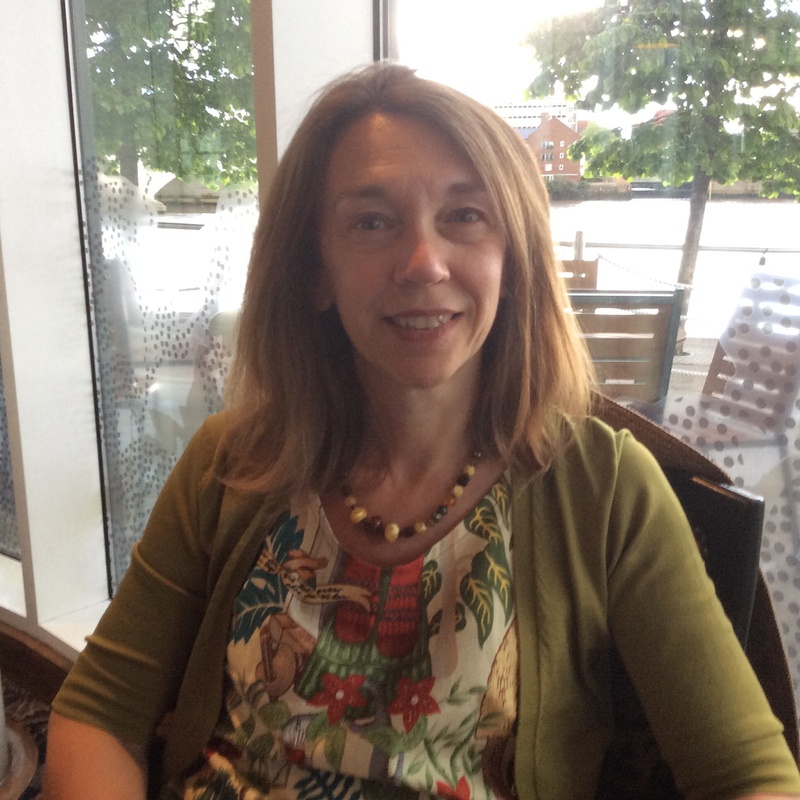 I had a wonderful time on the boat – once I’d mastered the locks and swing bridges (it’s quite different “down south” – on the Thames the lock-keepers do it for you!). However, there is no wifi on a narrowboat boat! 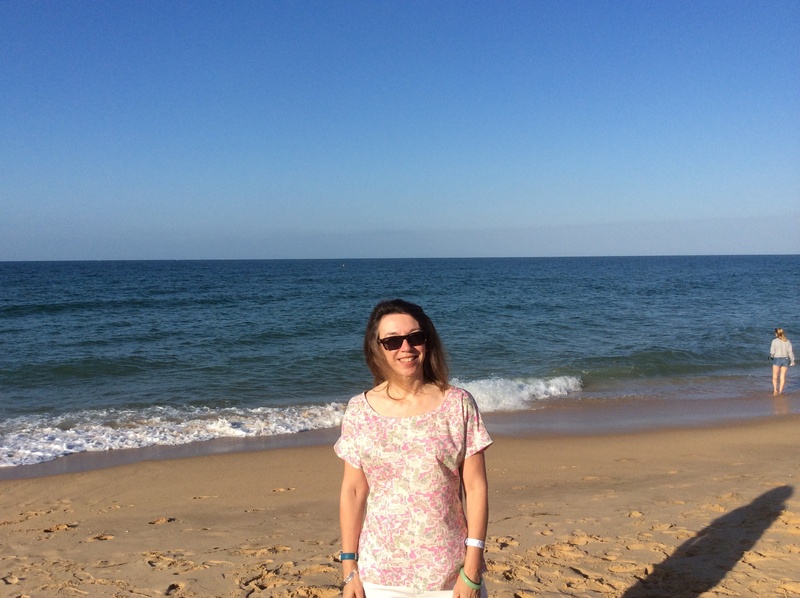 Holidays are times to relax and I really enjoying reading blogs for relaxation/inspiration so it was quite frustrating not to be able to nip online for a quick five minutes here and there as I am used to. We moored up each night and went to a pub (which had to have free wifi) so that I could log on for half an hour. This only really gave me time to update my personal facebook and quickly scroll through a few instagram pics. Poor Mr CK tried to be accommodating but after ten minutes of sitting silently whilst I was frantically clicking/scrolling away he would say “Well, this is fun.” Reluctantly, I had to sympathise with his viewpoint. 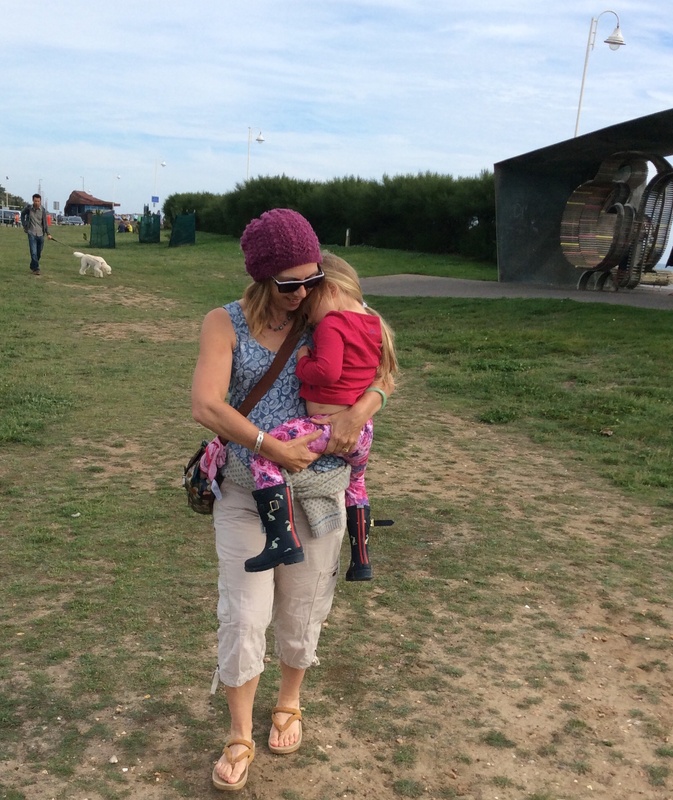 We arrived home yesterday and I spent two hours in bed this morning trying to catch up on my blog feed – I had 104 post to read – now down to 47. I did wonder if I should just start afresh from today but I didn’t really want to miss out on what people have been making (the Southport maxi and Tilly’s new Bettine have gone bonkers). I then thought perhaps I could scroll through and just delete ones I wasn’t especially interested in but realised, joyfully, that everyone I follow, I enjoy following and didn’t want to skip through anything. So if you blog, and I follow you, and you are receiving random comments a week plus after you posted … now you know the reason why! I stayed in Wakefield with my cousin Mel, a gloriously talented seamstress who used to own her own wedding dress shop. Whilst I was there she was frantically sewing on sparkles for a dress she was delivering the following week. She had lots of stories to tell from her wedding shop days including a man who came in and wanted a wedding dress made to measure in pink and a lady who came in with a drawing she had made herself as a nine year old child of what she thought her dream wedding dress would be and said “I want that”. 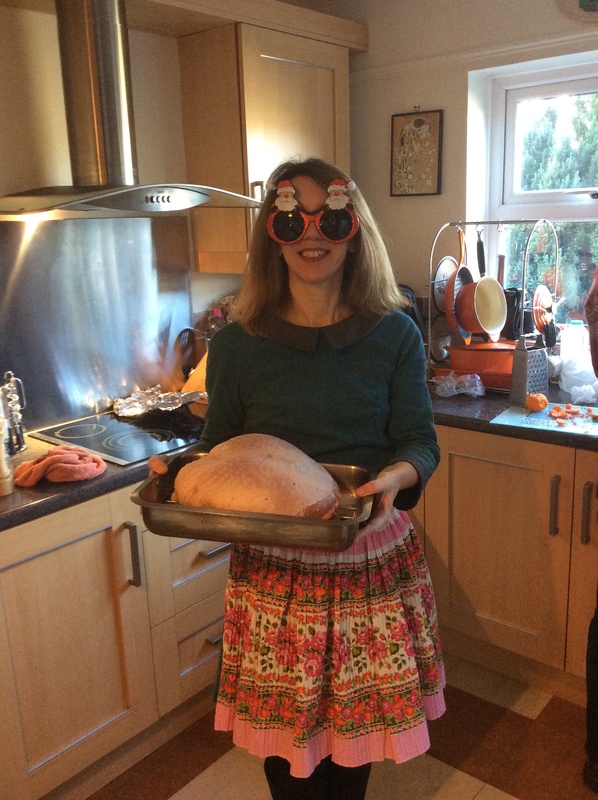 The lady’s mother subsequently came to the shop to countermand the instruction saying her daughter would look ridiculous. 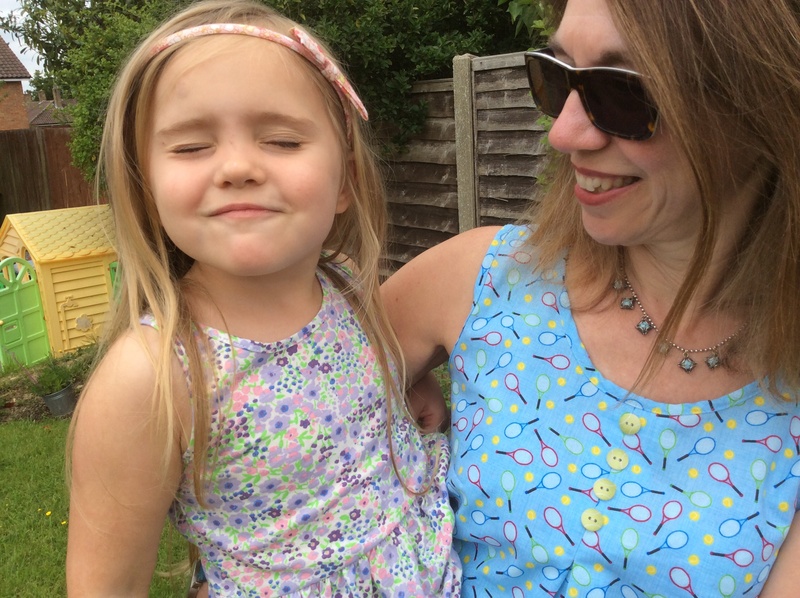 The nine year old’s dream dress was made – sadly I don’t have a picture to share. 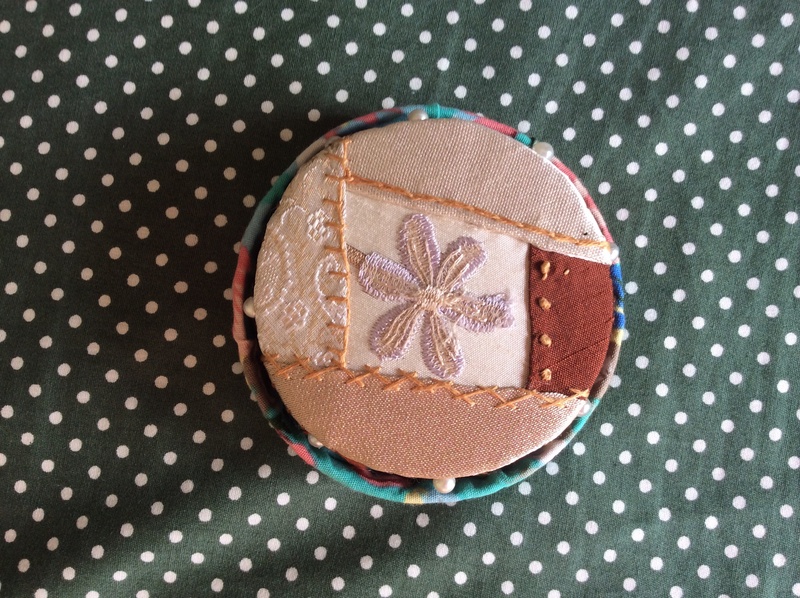 Last time I met my cousin she had made a couple of sewing related gifts for me; a travel pin holder and thread catcher and a pin cushion with (I think) a cathedral design. 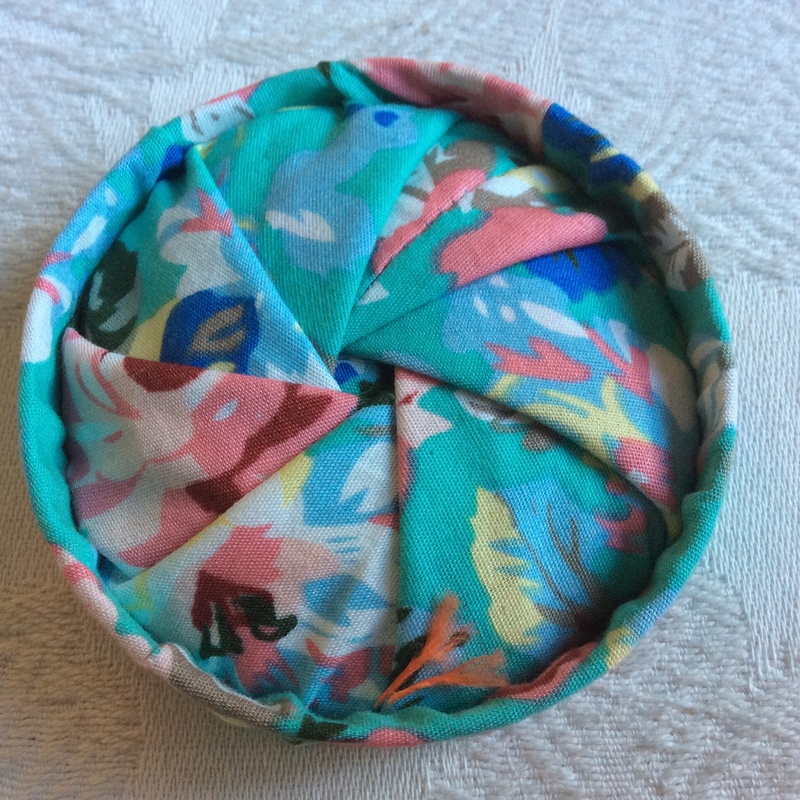 The thread catcher is brilliant – it is actually structured around a Pringles lid and folds down so that you can slip your pin holder in the lid. – the pins are stored around the edge – a little like a wheel. 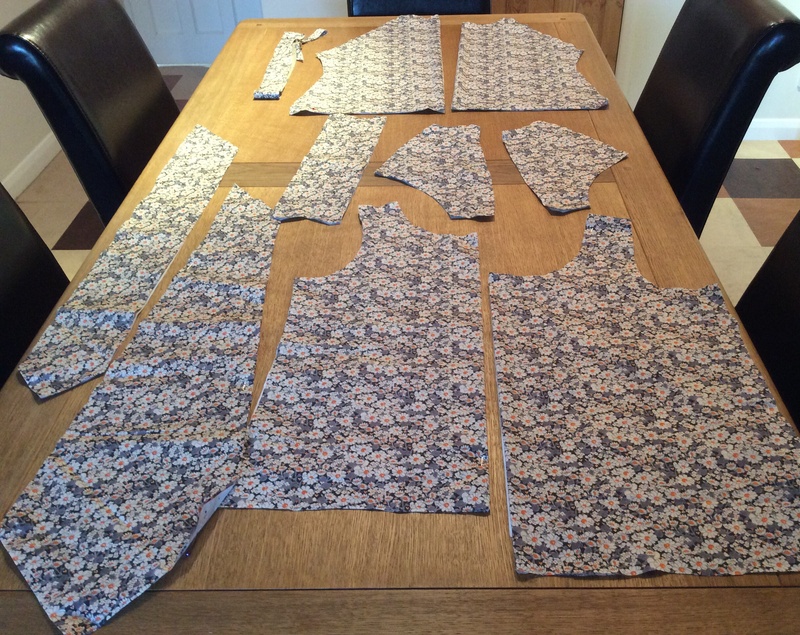 This was made with fabrics Mel had used for dresses/waistcoats for weddings of her own family. 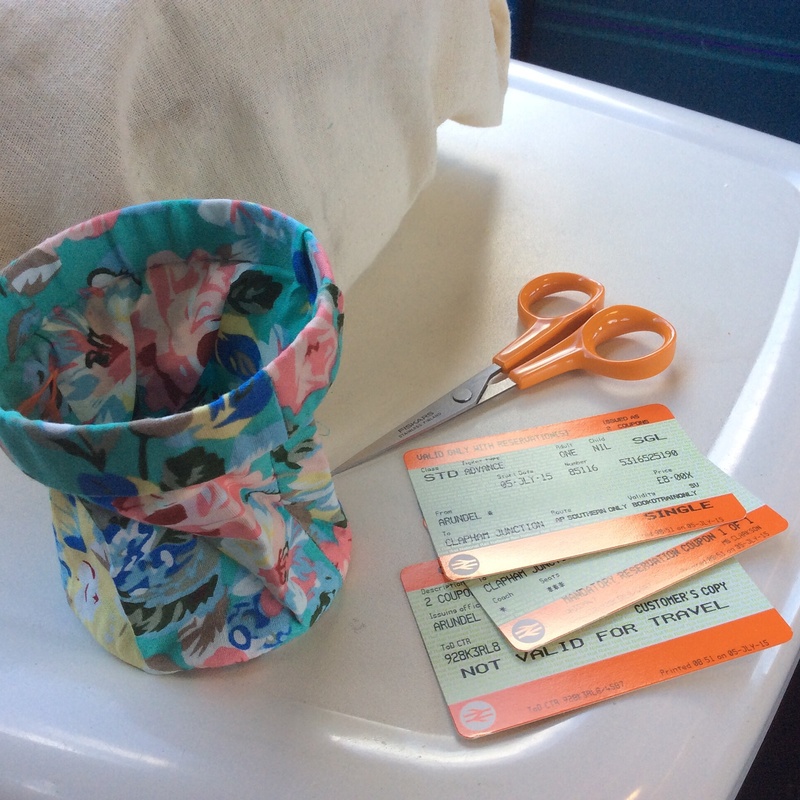 She said her idea was that you could just “pop them in your pocket” for sewng on the go – as you do. 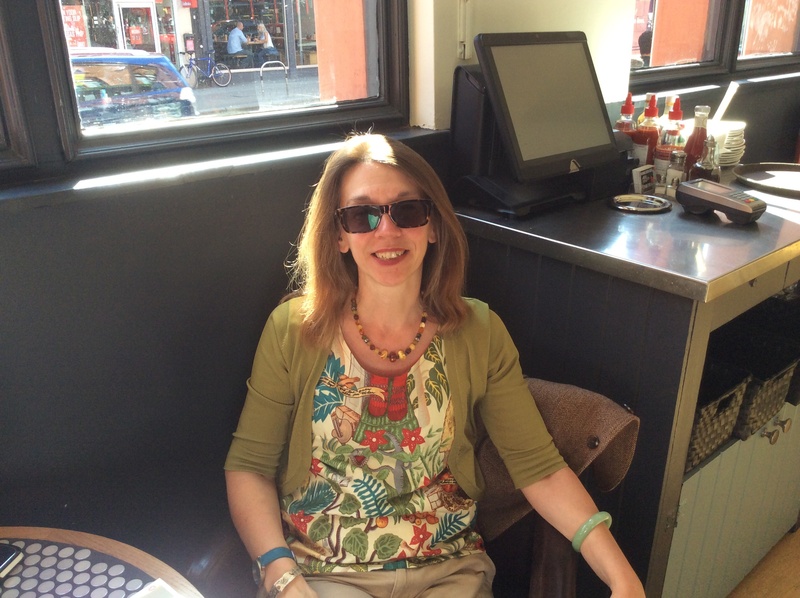 In the time I have been blogging I have made some lovely blog friends and I hope to make more. 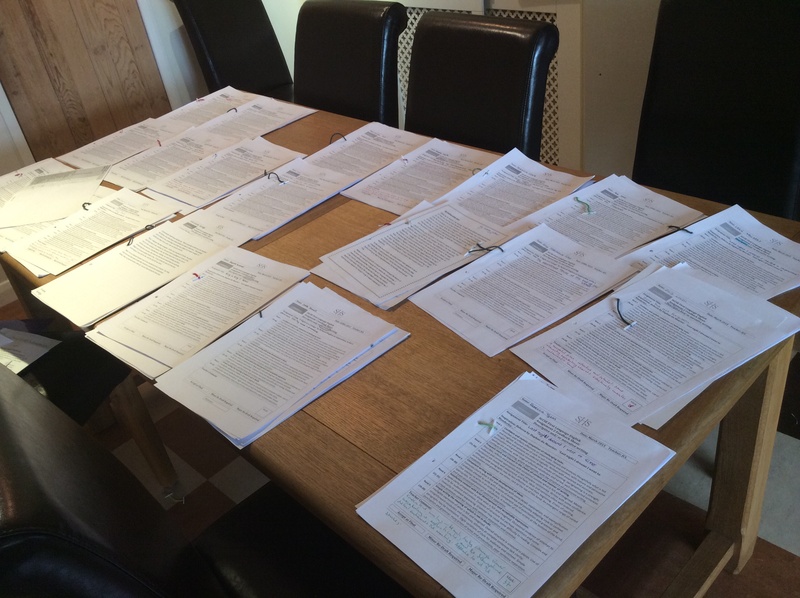 I have found this to be one of the many pleasures of blogging (even today I felt the need to blog but without having anything sewn to show you!). 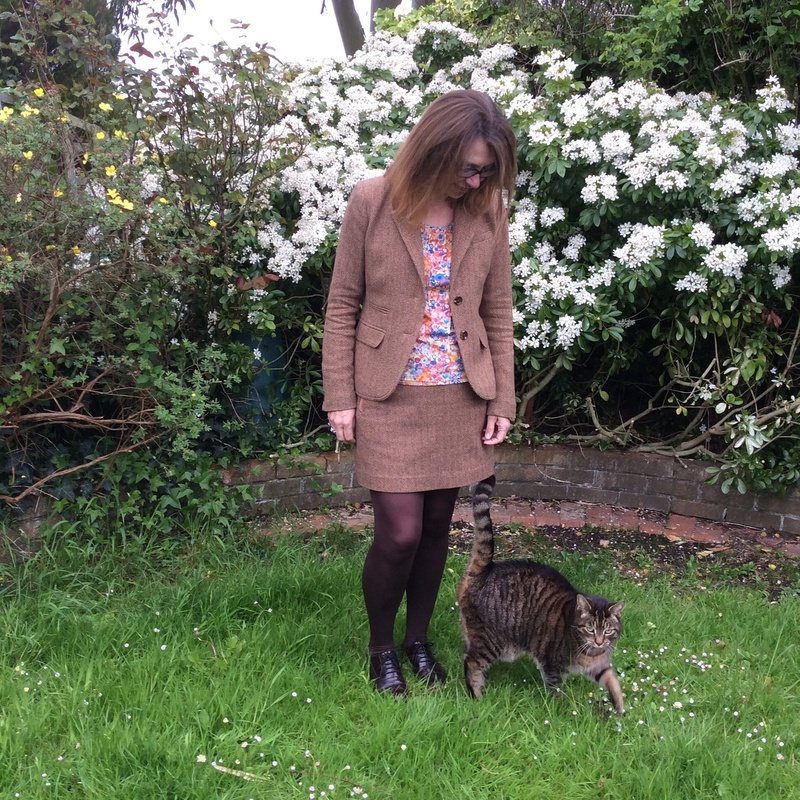 One of my early blog pals was Sew South London and being a South London girl myself, hers was one of the first blogs I was drawn to. 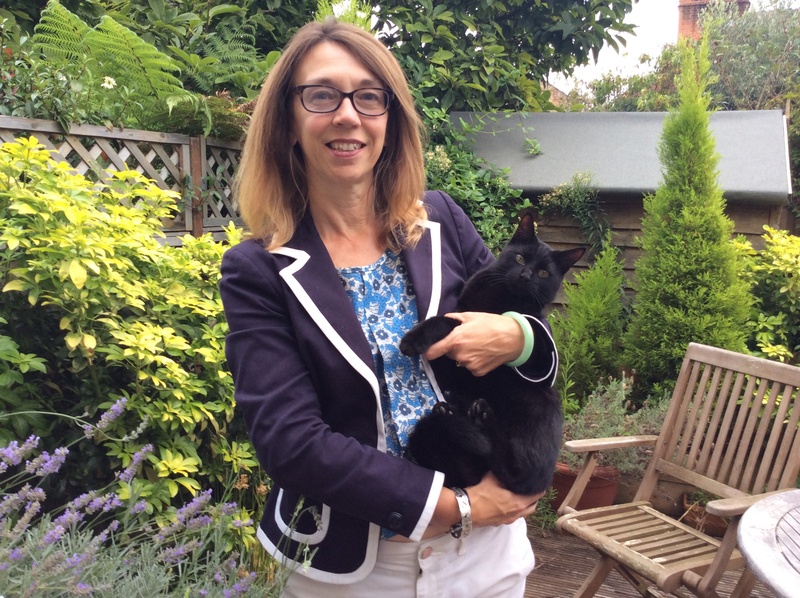 We struck up a friendship quite quickly and I am looking forward to following her adventures now that she has moved on from South London to sunnier climes. 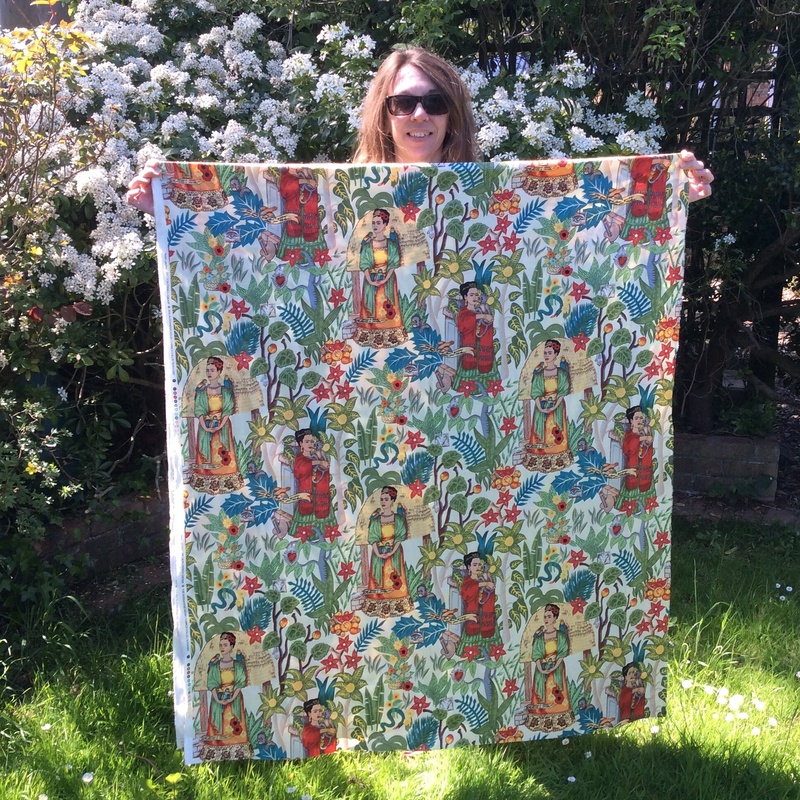 Imagine my delight a couple of weeks ago when, as I was laying on the sofa feeling really sad after having attended the funeral of one of my former students, I suddenly decided to check my post box and found there a lovely gift – a metre of super funky fabric bought in Bangkok. 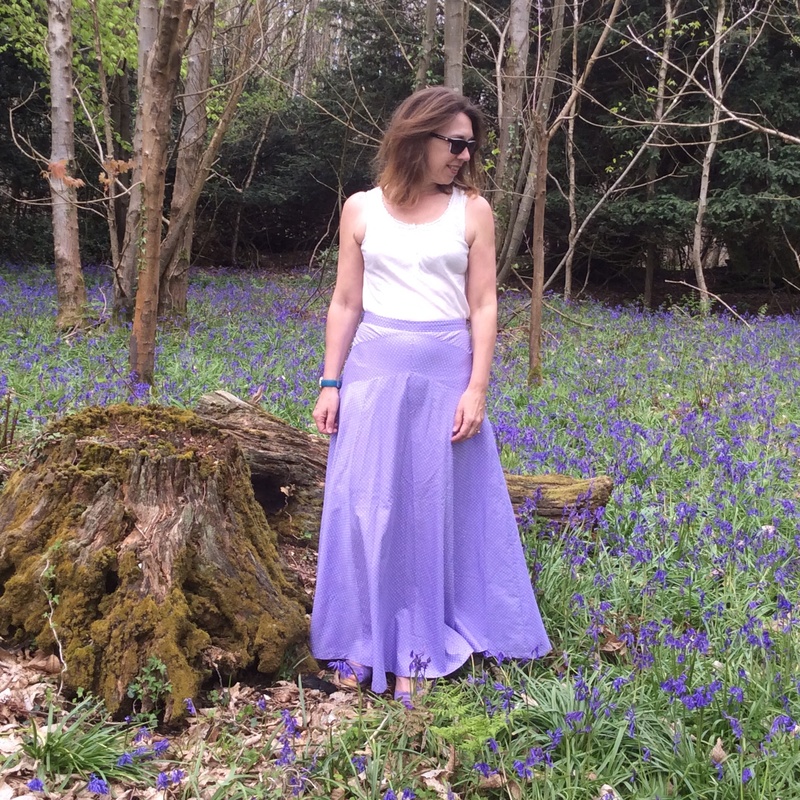 I have decided to make a Clemence skirt with it and just as soon as I have finished this post, that’s what I’ll be doing. How lovely that someone you have never met can “know” you and be so generous too. 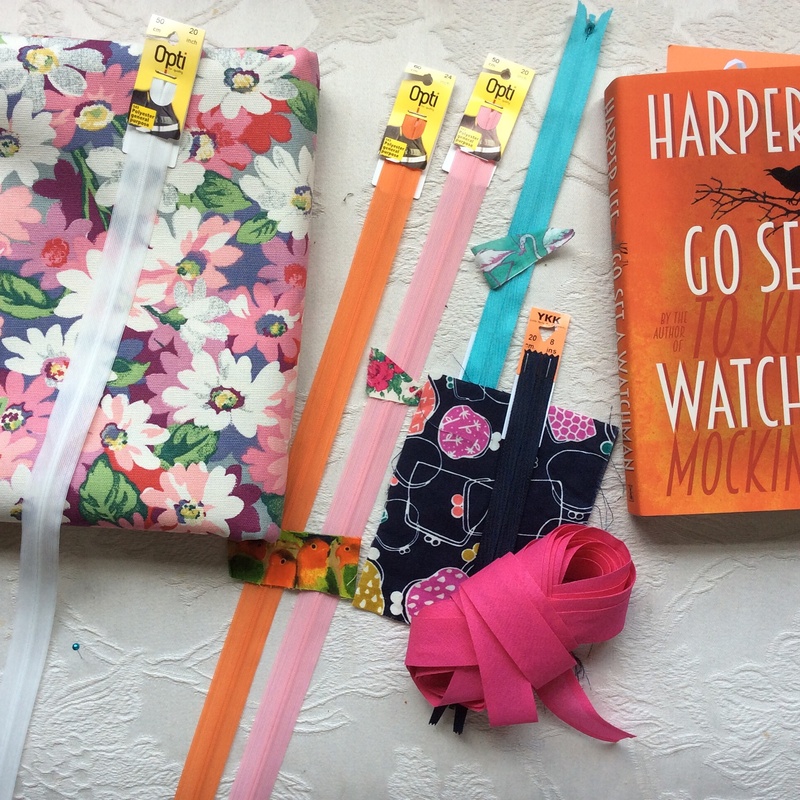 Whilst writing about gifts, I just want to refer to one I blogged about here – a wonderful stash of sewing goodies given to me by a friend of my daughter’s. His generous gift means that I will probabaly never have to buy thread again in my life and have a choice as I did here with my Anna. 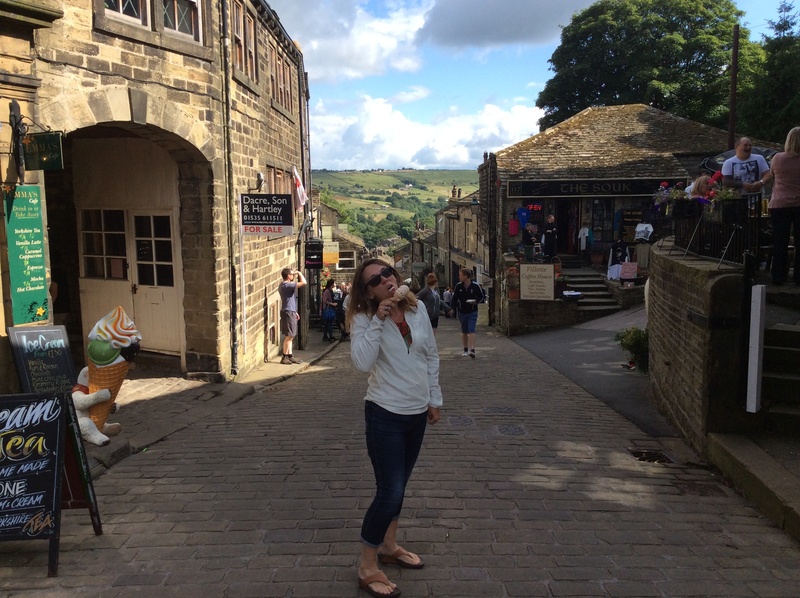 Just before I went to Yorkshire I had a little day trip with my neighbour and friend Ali, a fellow runner and sewista. 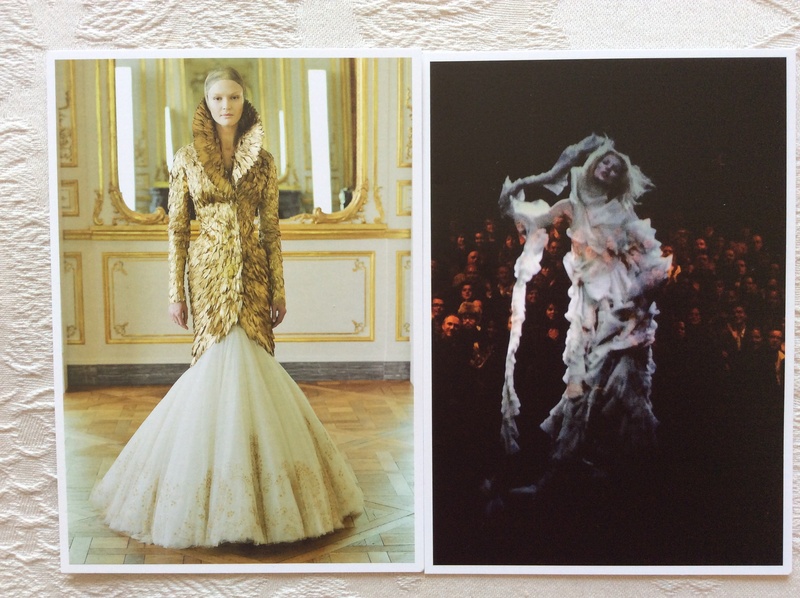 We went to the Alexander McQueen exhibition at the V&A and then on for an afternoon’s shopping in Goldhawk Road. The exhibition was a glory – very intense. The music alone was enough to make you want to slash your wrists although interestingly, as soon as you exited into the gift shop, a rather jollier tempo met your ears. After a FAB lunch in Knightsbridge we moved onto our afternoon of shopping. 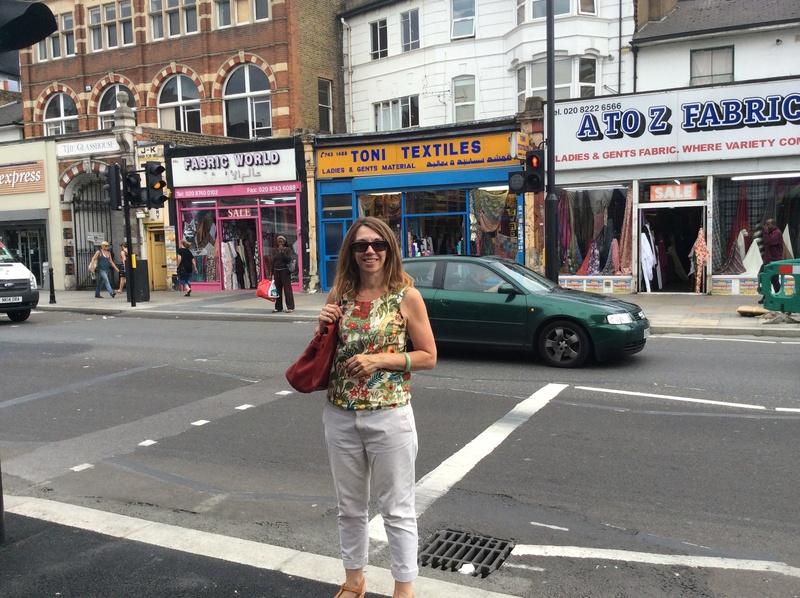 I suffered from overwhelmedness in Goldhawk Road – odd that I had never been before. We traipsed into every shop and I had to keep sitting down like an old lady. 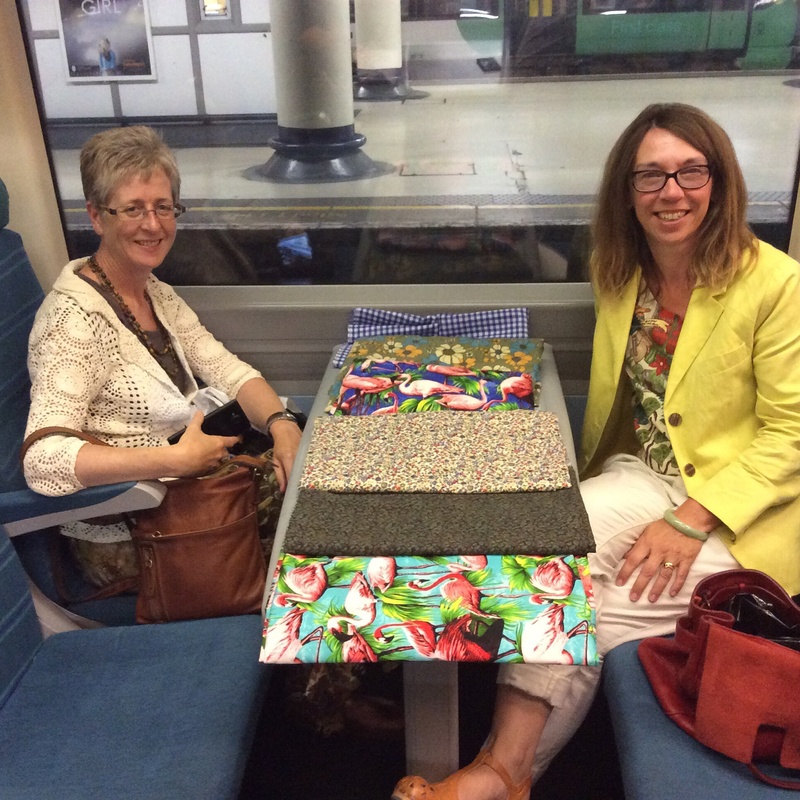 On the way back, we spread out all our wares on the train and a group of young men across the aisle from us, clearly amused, offered to take our photo. 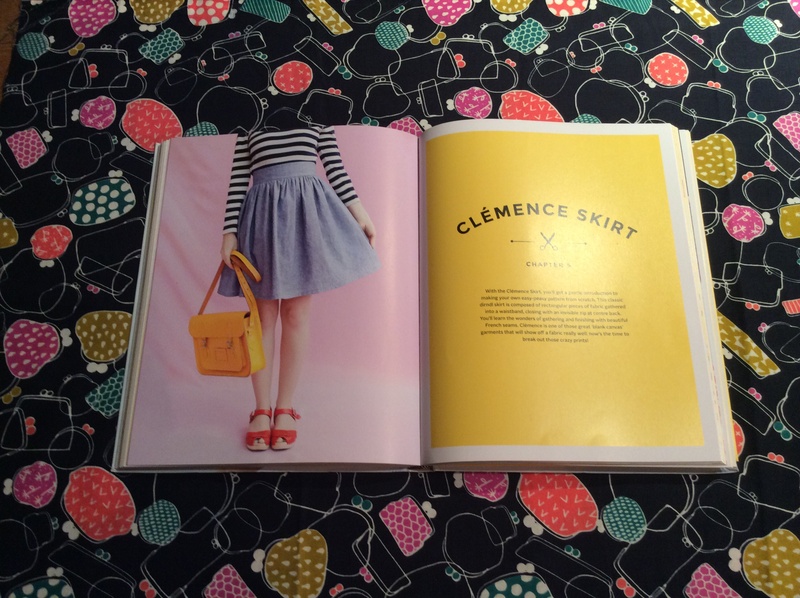 I am thinking another Clemence skirt from the Flamingos (if my first one goes OK). The middle fabric I think will make a nice shirt – I was lucky enough to book Sew Over It’s Ultimate Shirt class during the summer sale. 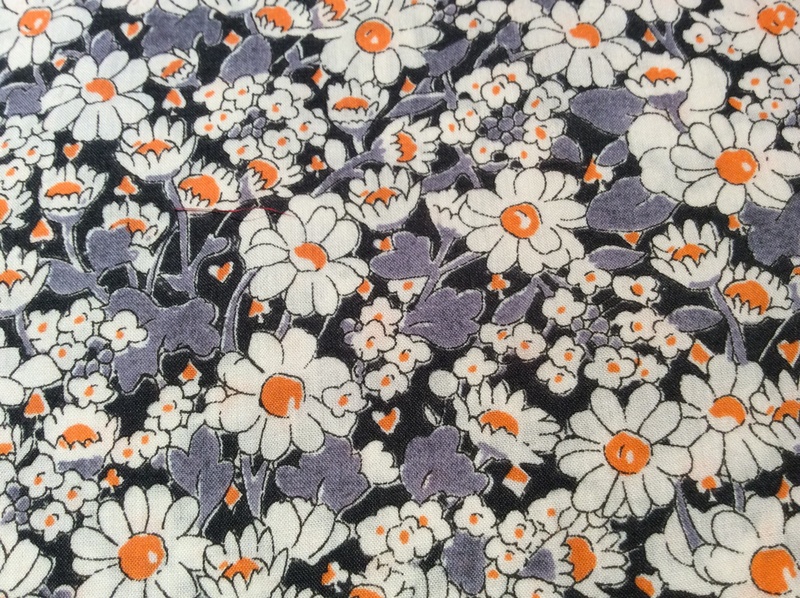 Finally, the floral fabric is a delicate needlecord (allegedly Liberty) which I hope to make some sort of pinafore out of – maybe a Sureau without the sleeves. I have never bought fabric in Cath Kidston before but couldn’t resist this in their sale – £8 a metre – it’s really heavy so I’ll have to think carefully what I’ve going to do with it. Any ideas? 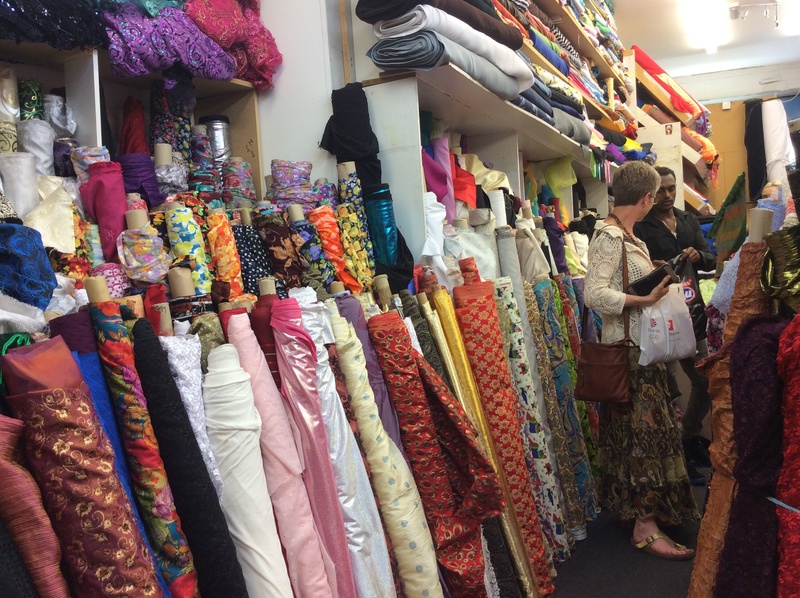 Photo also includes my notions purchases that day – I was super organised and took samples of the fabrics with me so that could colour match my zips. The book was an impulsive purchase, which, now that I’ve read it, deeply regret! Well, I have rambled on for ages and although I still have more musing to share, will save those for another day. Just to conclude by saying that I have a big birthday coming up so look out for a celebratory blog post early next week. 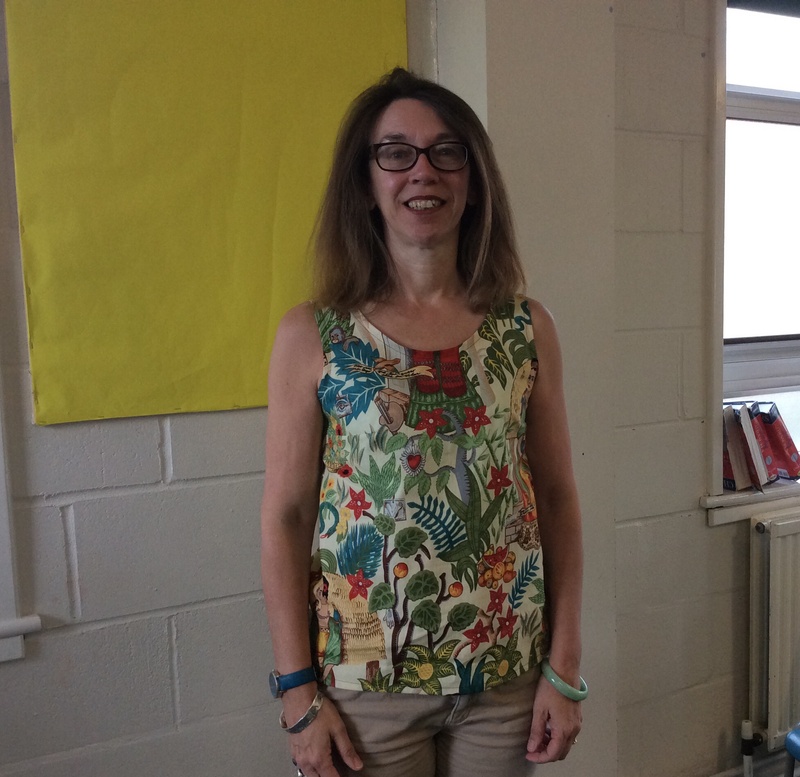 It is the school summer holidays now so I am looking forward to lots of sewing and keeping up to date with my blog feed. 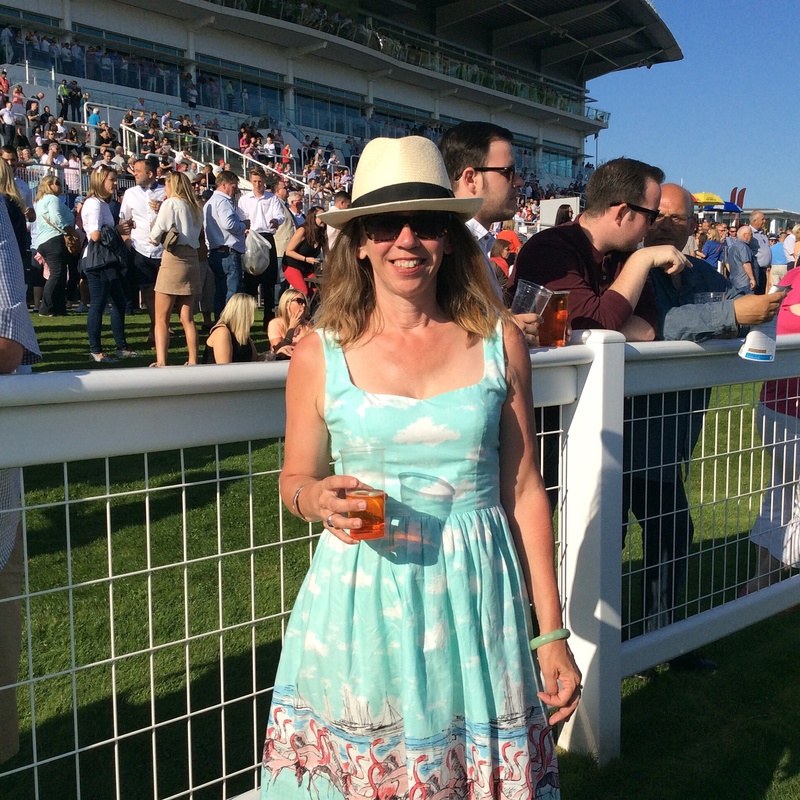 I have really enjoyed wearing my makes this summer so will close with this pic of me at the evening races at Epsom which was followed by a brilliant Madness concert – I had forgotten just how many glorious sing-a-long songs they had made. 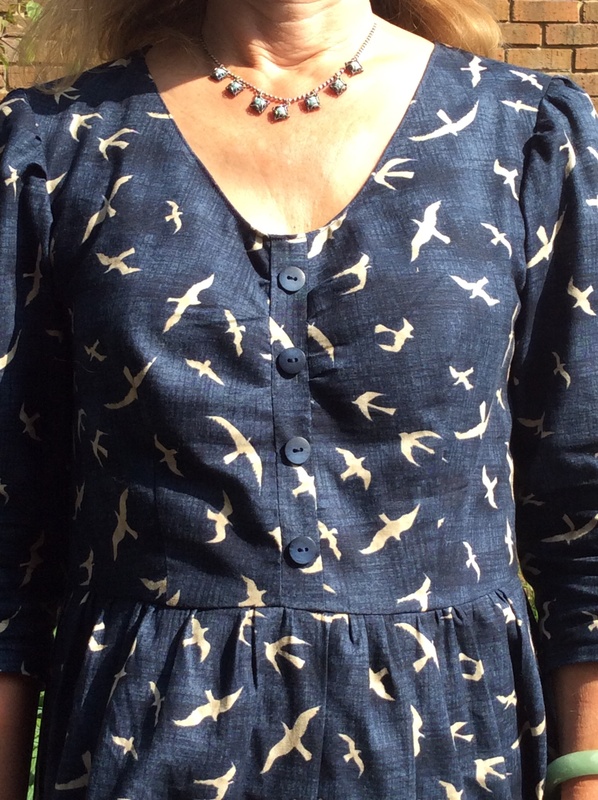 But the best part of the evening was when a lady came up and said “I have been looking at your dress – it is really lovely” – of course you can guess my reply! 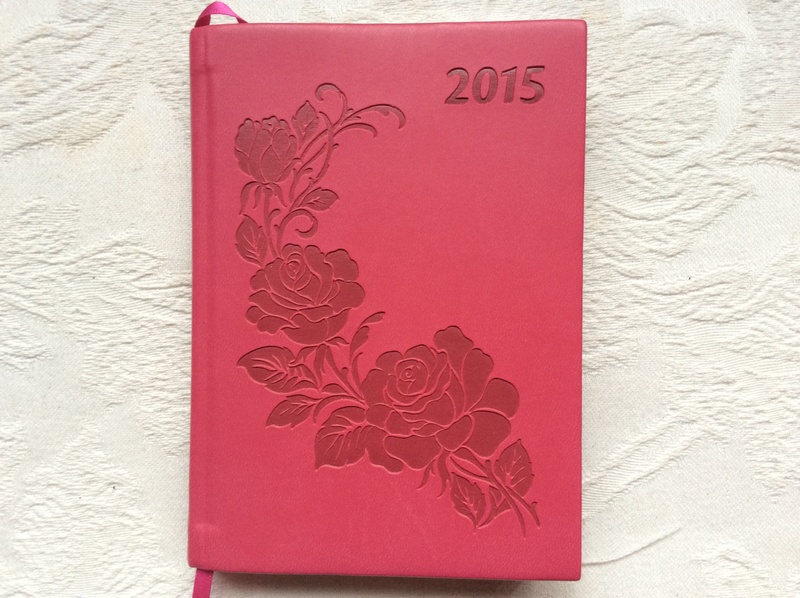 It has finished and I have been avidly reading everyone’s round-ups and admiring how they present their photos etc. I must be honest and say that I found it a little hard to keep up with everything. I usually like to comment on the blogs I read – I genuinely think of some bloggers as my friends and it seems rude not to drop by and say “hi” etc but everything was coming through so fast and for six days I was in Portugal on a school tennis camp and the internet access was restricted to a little café which we walked past twice a day so I had to use that slot to do what little I could in about thirty seconds and post my daily IG pic. My photos are all completely unrepresentative of my time on Portugal because I was constantly in the company of thirty lovely girls but obviously I am unable to show any photos of them so each day I had to quickly get one of my colleagues or one of the girls to take a pic after I had shooed everyone else away. 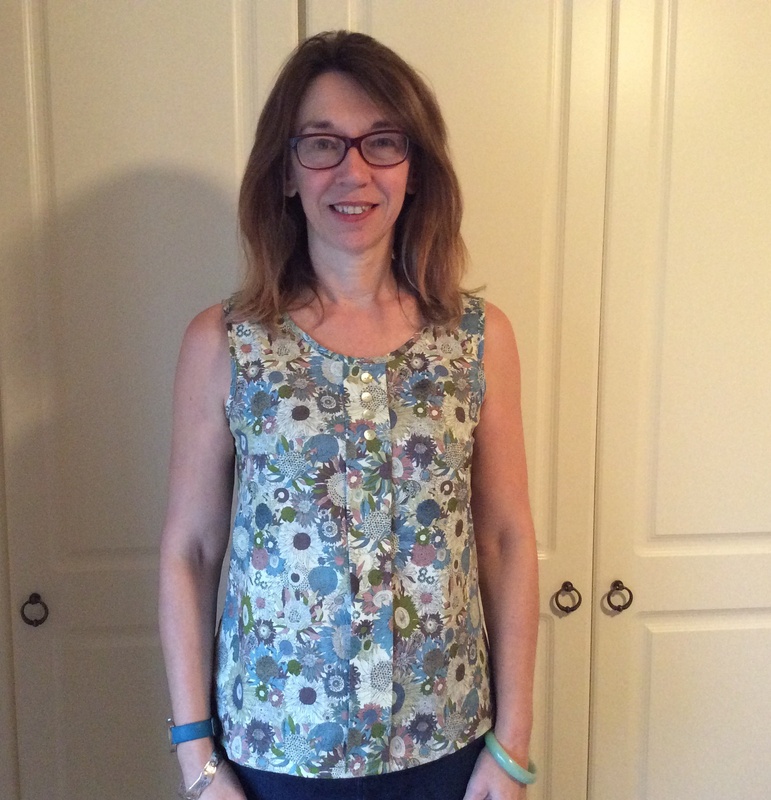 This is my Sewaholic Belcarra in Liberty Lawn – you’ll see a close up of the fabric in a later photo because I wore it on the way home. The girls had two hours tennis coaching each morning and then again in the afternoon. In the mornings we watched them and in the afternoons we played doubles ourselves. This is a favourite of mine – usually used for running. It is a Sorbetto minus the pleat. It worked well with my tennis skort. 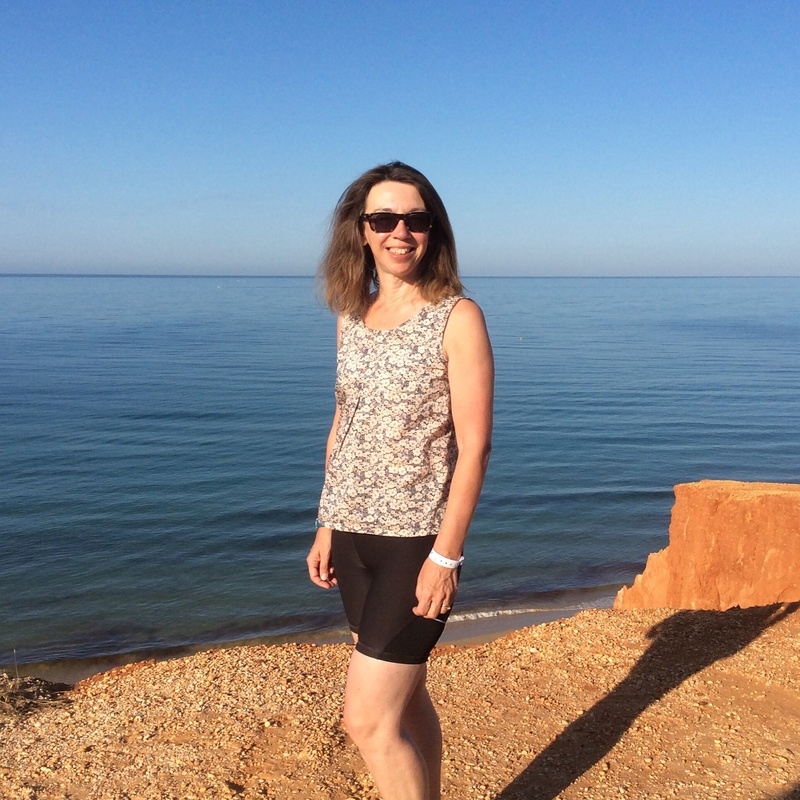 Another pre breakfast stroll – this time along the cliff path and I am wearing a much worn …..Liberty Sorbetto. This was the first one I ever made and before I made my standard alteration of adding three inches to the length. I appear to be alternating – back to a Sewaholic Belcarra – this time in Queue for the Zoo – at least the Liberty remains a constant. Our last full day and no less than three separate me made items! 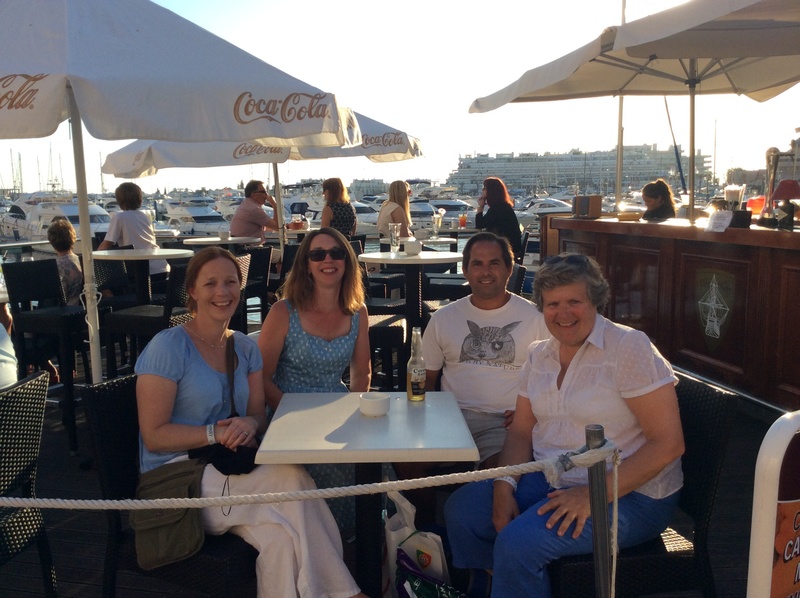 For the final evening we took the girls to Villamoura for a Pizza. I wore my Kim with anchors on. 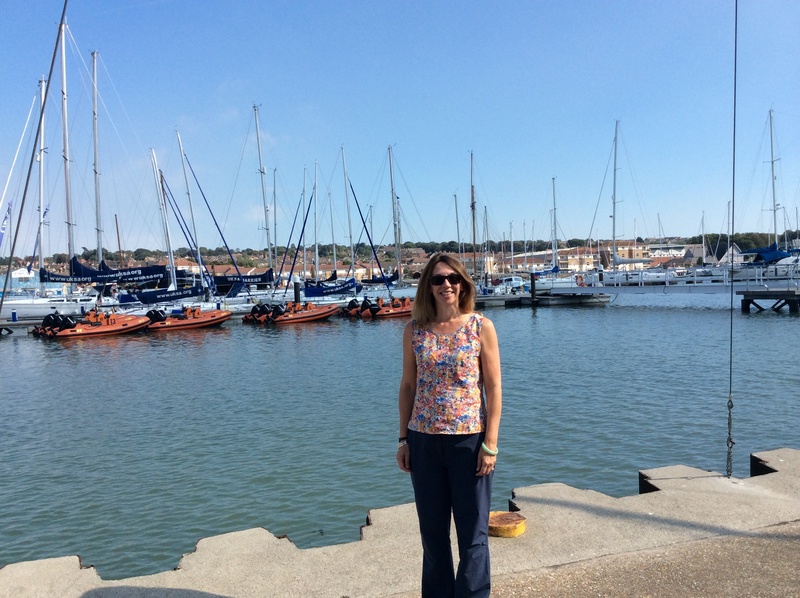 seaside themed fabric – suitable for a marina! The girls had a great trip (so did I) but I was still pleased to get home. 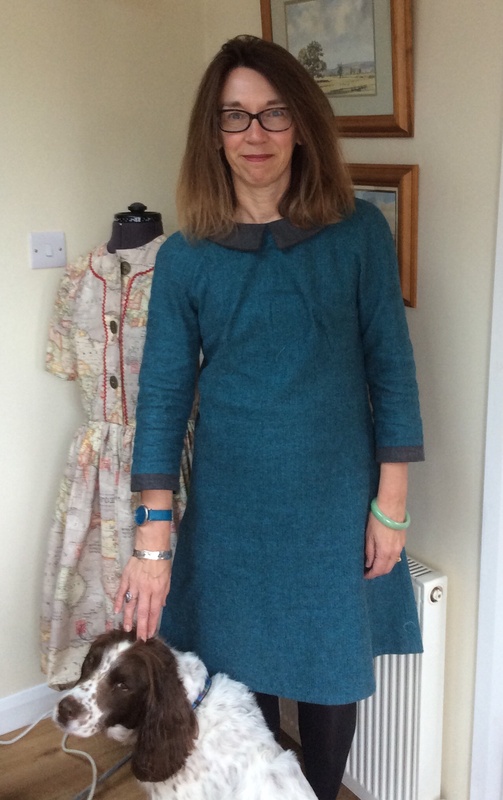 Forgot to take a photo with all the fretting/travelling but I wore my Belcarra in Isle of Wight fabric from earlier in the week. 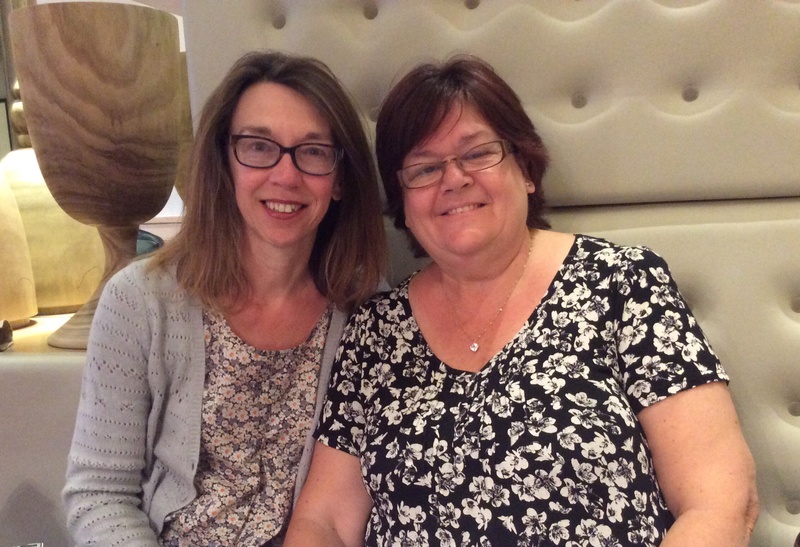 I met up with one of my Yorkshire cousins who I hadn’t seen for 21 years! Already we have arranged to meet up again for a couple of days before I start a boating holiday in July. It’s famine or feast! I wore a Sorbetto from earlier in the week. I went for a double whammy. Absolutely loved how these two garments went together. 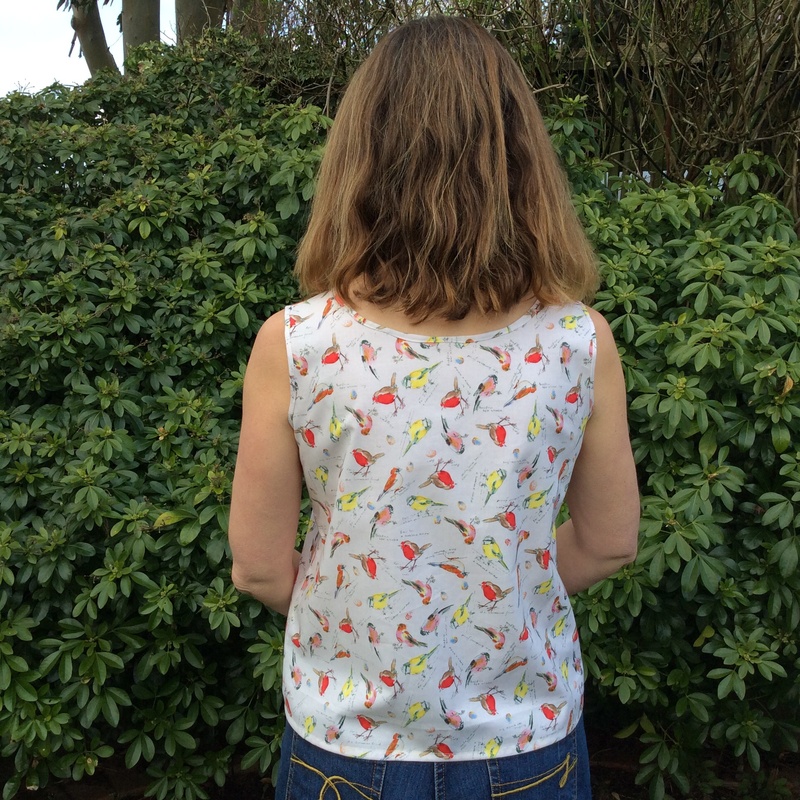 My “Birds” Sorbetto paired with my Sew Over It Ulitmate Trousers. This was supposed to be my triumphant finale to a really enjoyable month. I literally finished hand stitching the lining whilst having my early morning cup of tea in bed! Sadly in was a cold, rainy day and my new creation spent most of the day hidden under a cardi. I am only giving the sneakiest of peaks here because it’s not blogged yet but this is my Frida Kahlo Kim. So I did really enjoy the challenge. I think next year I will try for no repeats. 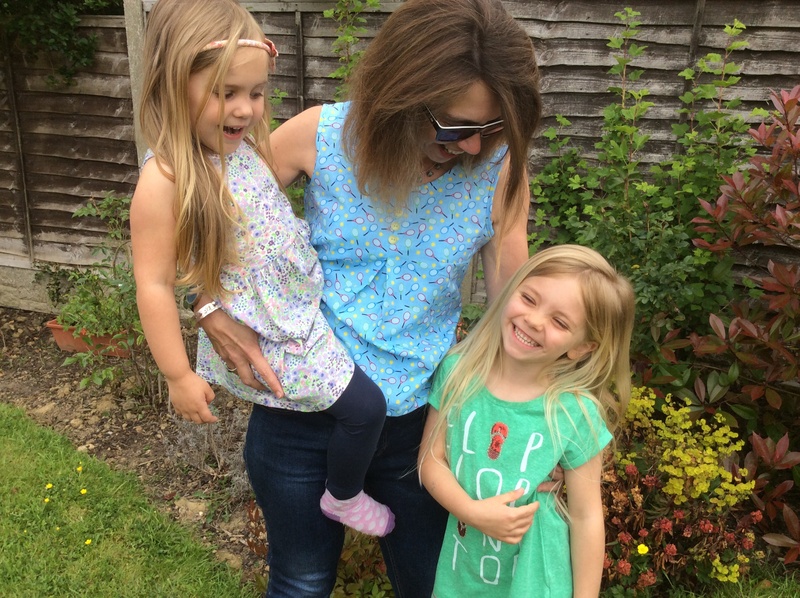 It wasn’t as tricky as I thought – what I really loved was how the girls got behind it. Everyday they would say “Did you make that miss? It’s amazing!” Good fabric is certainly worth it. 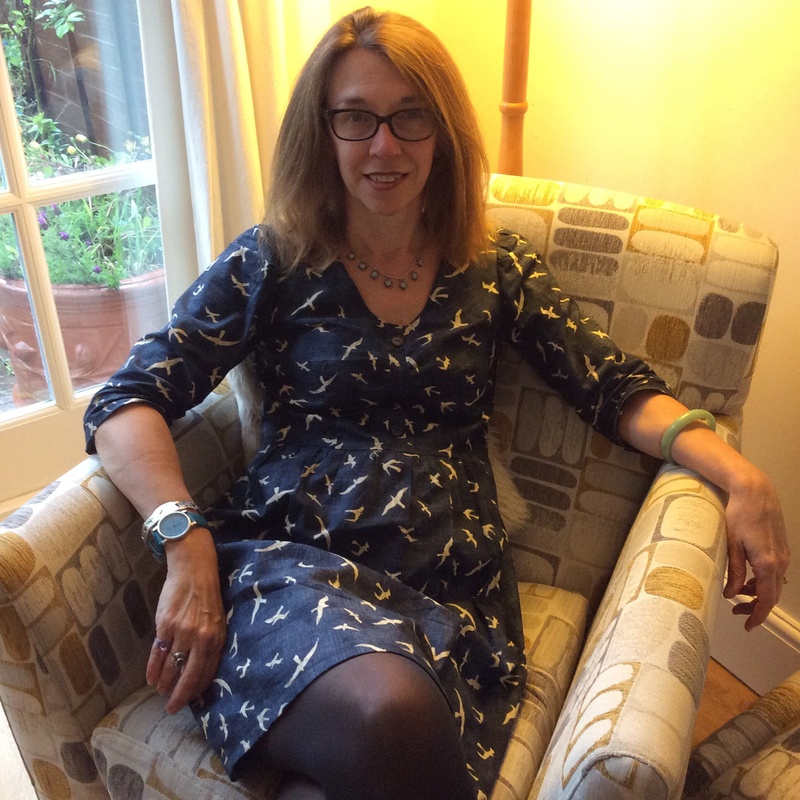 I don’t think I am especially skilled – the patterns I make are very straight-forward but people do seem to be astonished that you can make your own clothes. I need more plain basics – that is clear. Everything I make is highly patterned …… but that is what I love! 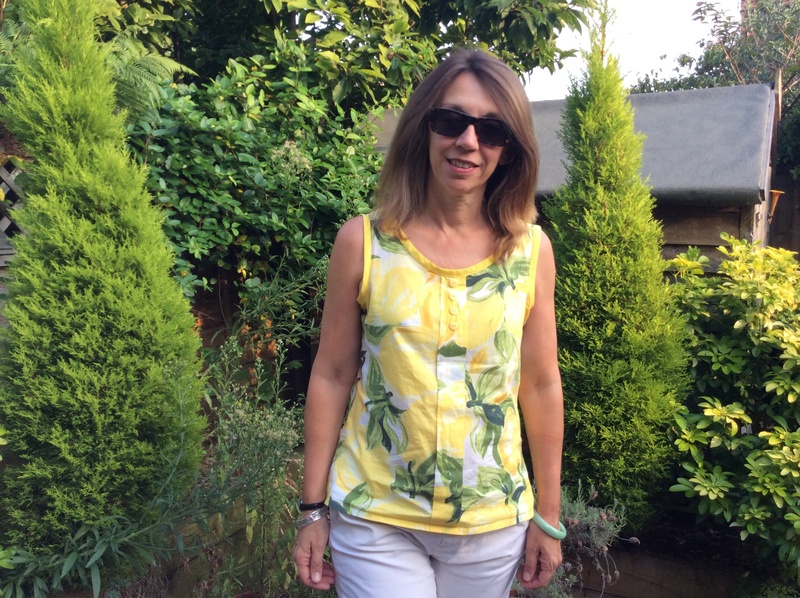 Best of all was seeing my blogger friends rise to meet the challenge – I certainly have added lots to my To Sew list. 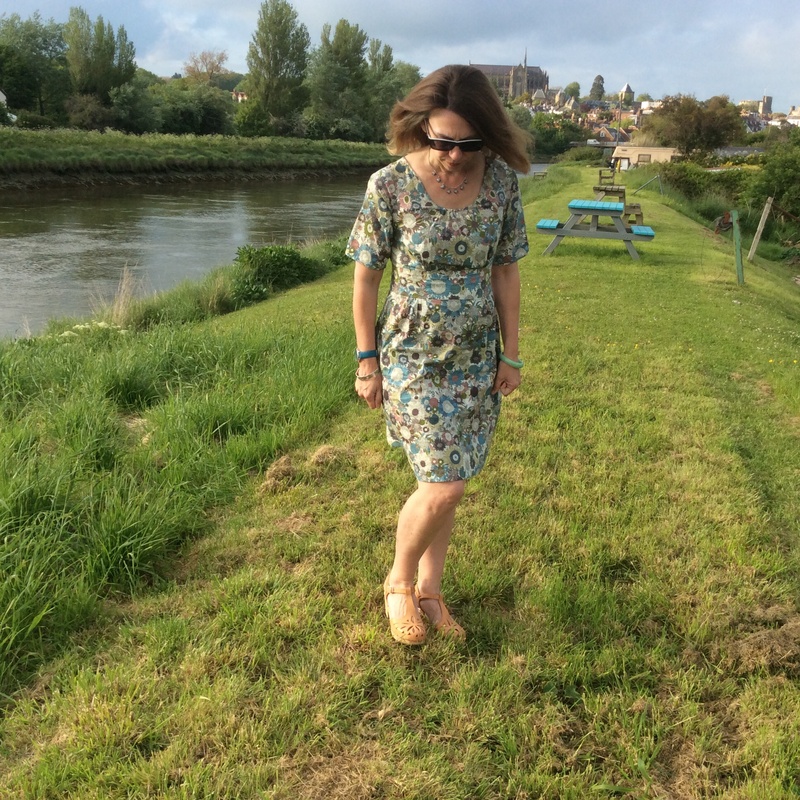 Enjoy the rest of the week – I am looking forward to sharing details of my dress with you! I was a little bit disappointed with myself having to go heavily into repeats. Had we had glorious sunshine I think I could have done an original on most days. 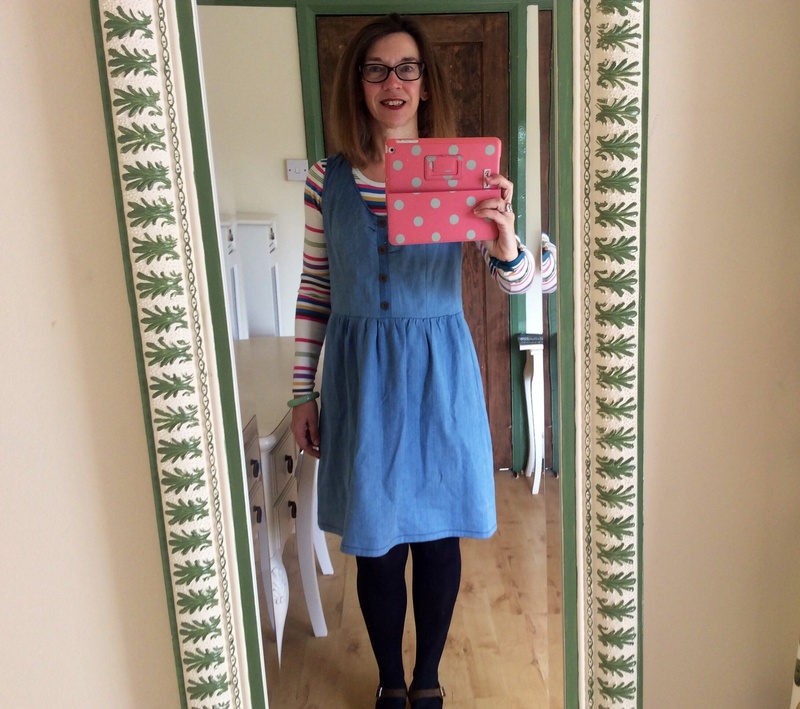 Anyway, I managed to knock out a scrap sorbetto with my Frida Kahlo fabric on Sunday and wore it to school Monday – oddly enough it was bizarrely appropriate. This week it is school exams weeks for years 7 – 9 and the Y10s are currently cavorting around Europe on a Language Immersion Week in either France, Germany or Spain – apart from 22 little sweeties who did not want/could not afford to go so we have been running a Language Immersion Week for them in school. On Monday they spent the day researching Surrealism and an artist from their country as preparation for Tuesday when they went to Tate Modern. I was the “Spanish” teacher for the day and we were supposed to research either Dali or Miro but I decided that we should do Kahlo and the girls absolutely loved her. 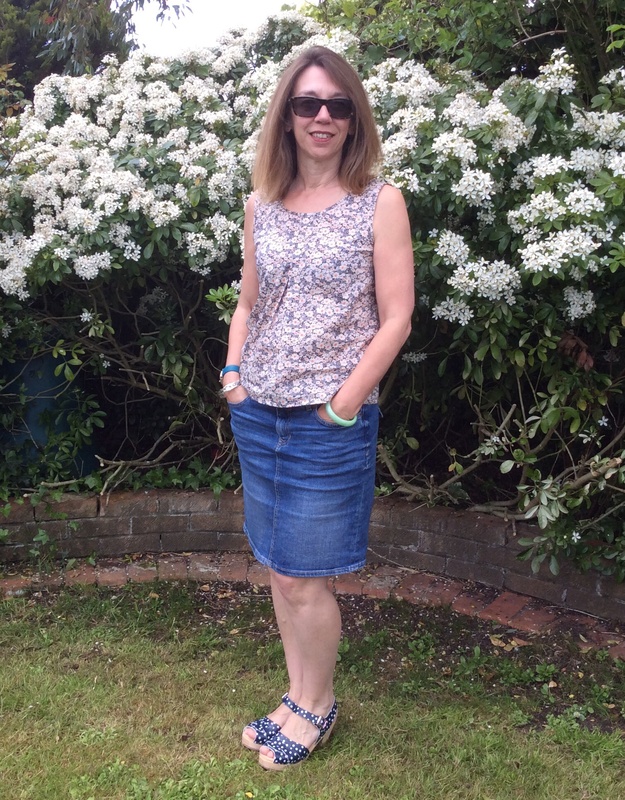 So, my top was greatly admired and I have to say, I think it is one of my favourite makes – it’s very me. 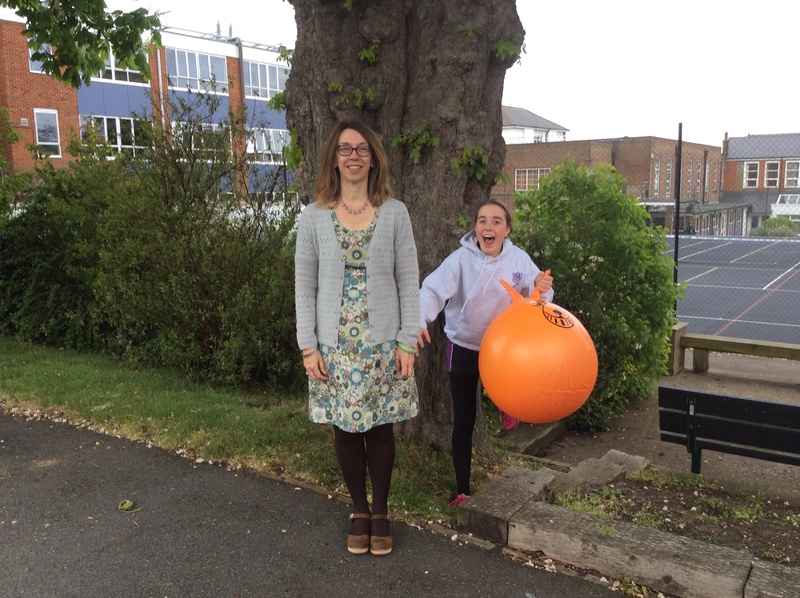 I hope to make up the dress to wear on 31st May as some sort of grand finale to the event/challenge. 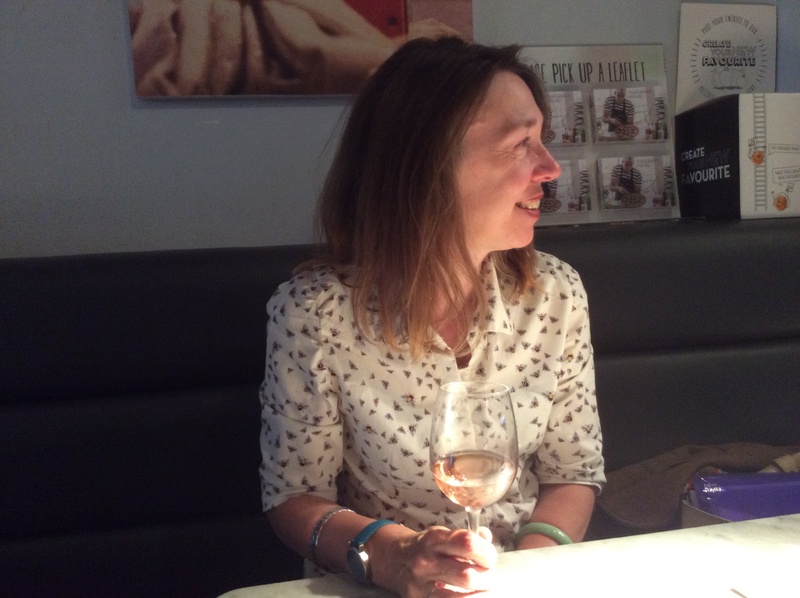 On Tuesday I wore one of my Scraps Sorbettos to work and forgot to get a photo but…..
….. in the evening I met my artist friend Annette for a drink in Putney and because I knew she would appreciate it, I changed into my Frieda again! Wednesday was a really hard day at work. I’ve been beavering away at a project I needed to hand in and stayed at work until 7pm to do it. Really couldn’t be arsed to cook so met Mr CK in Pizza Express on the way home. 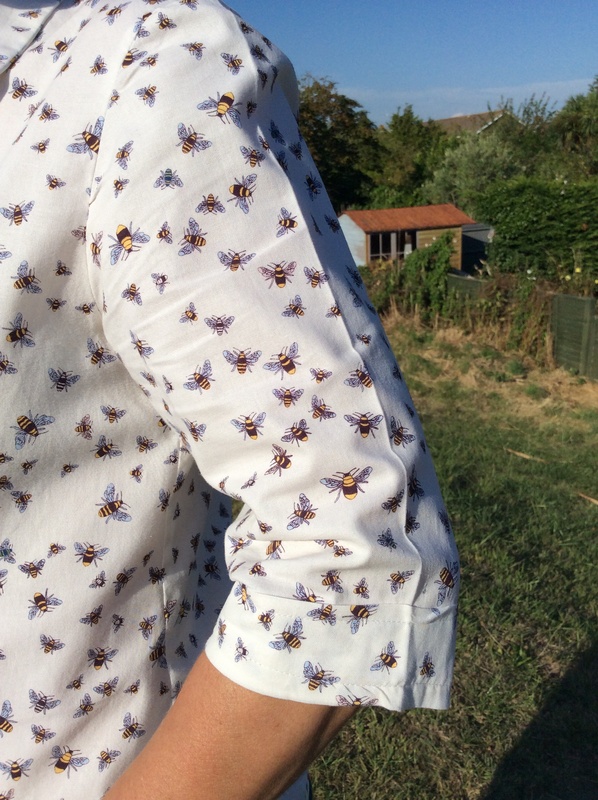 For a day when I was really busy it seems appropriate that I was wearing my “bees” – another favourite. Ok, now this is getting silly. I was at our Head Office at Thursday i.e. not with my colleagues who had seen me all week but with a bunch of randoms so guess what I wore? Of course, my new favourite Sorbetto. I finished my course early so arrived at ABO to meet my friend Mark who is over from Australia for a couple of weeks. 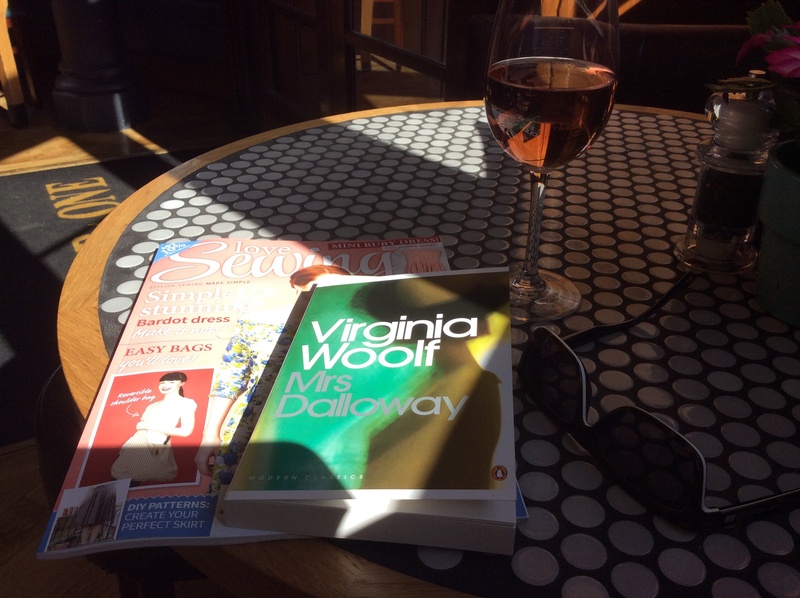 As I was there a good hour early I settled down with a nice glass of PGB, Love Sewing magazine and Virginia Woolf. Is anyone planning to make up the Bardot? 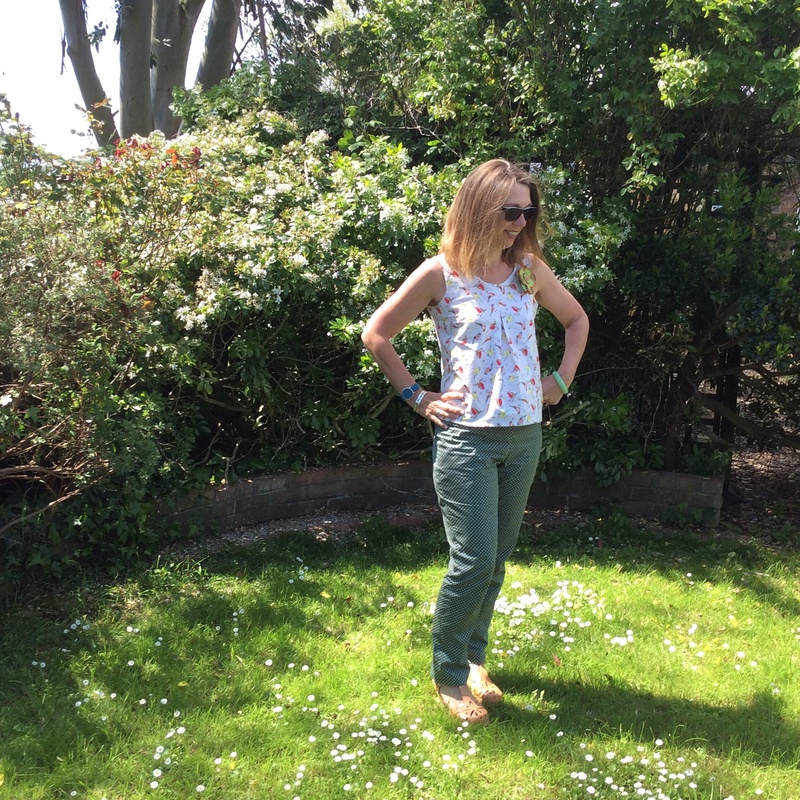 I think it looks FAB – it fact, the neckline is exactly how my Dahlia turned out! 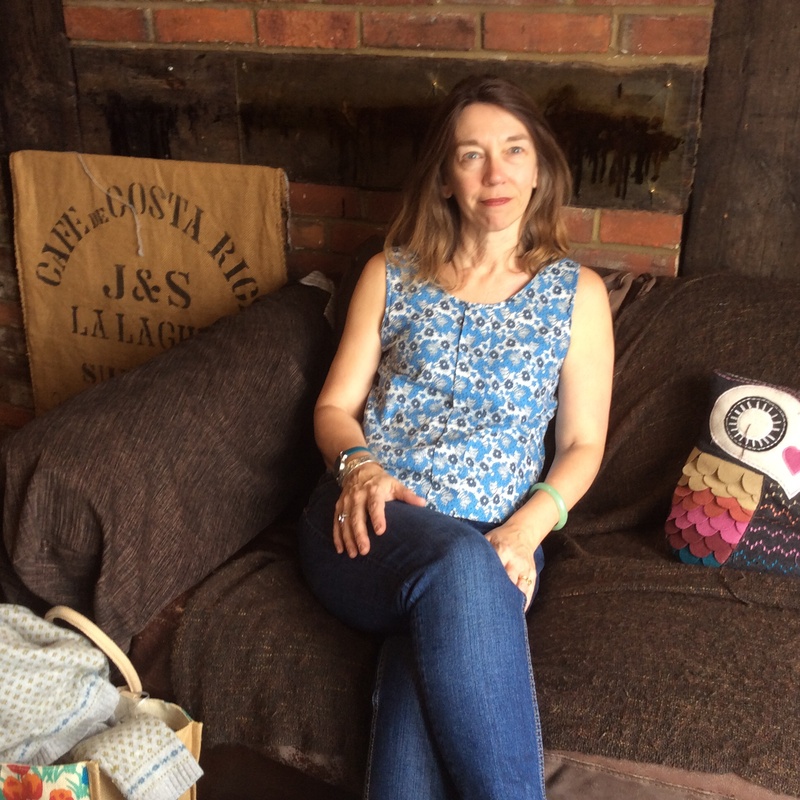 It’s so funny now to think that a woman can just go and sit in a pub by herself and feel absolutely relaxed – it wouldn’t have happened in Clarissa’s day! Thank goodness we finished the half term. 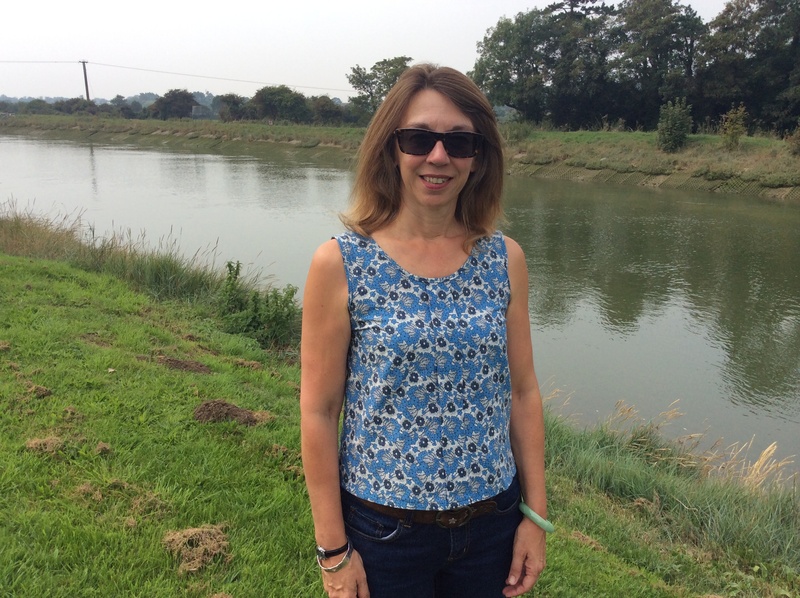 Had forgotten to get a photo at work so we took a quick one up on the riverbank before going down the pub – a regular Friday occurence. 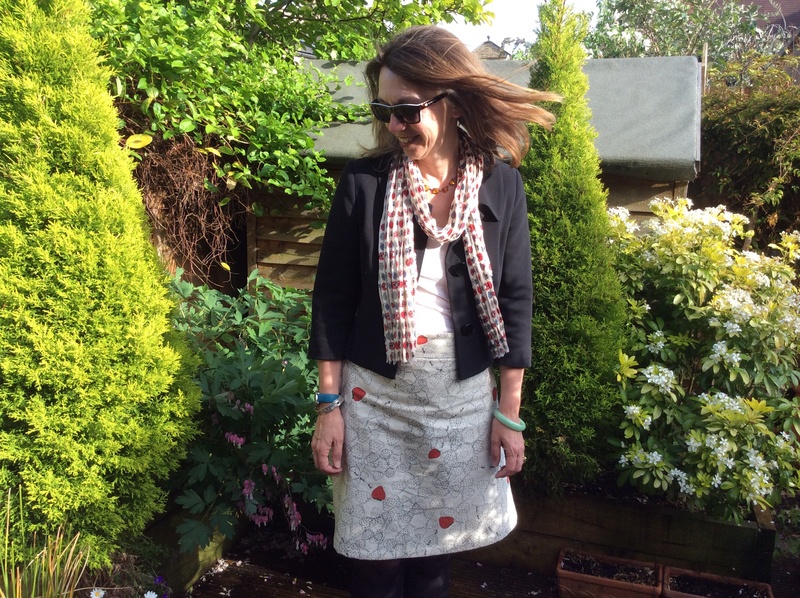 By coincidence I wore the Dahlia which my Tuesday Scraps Sorbetto had come from. 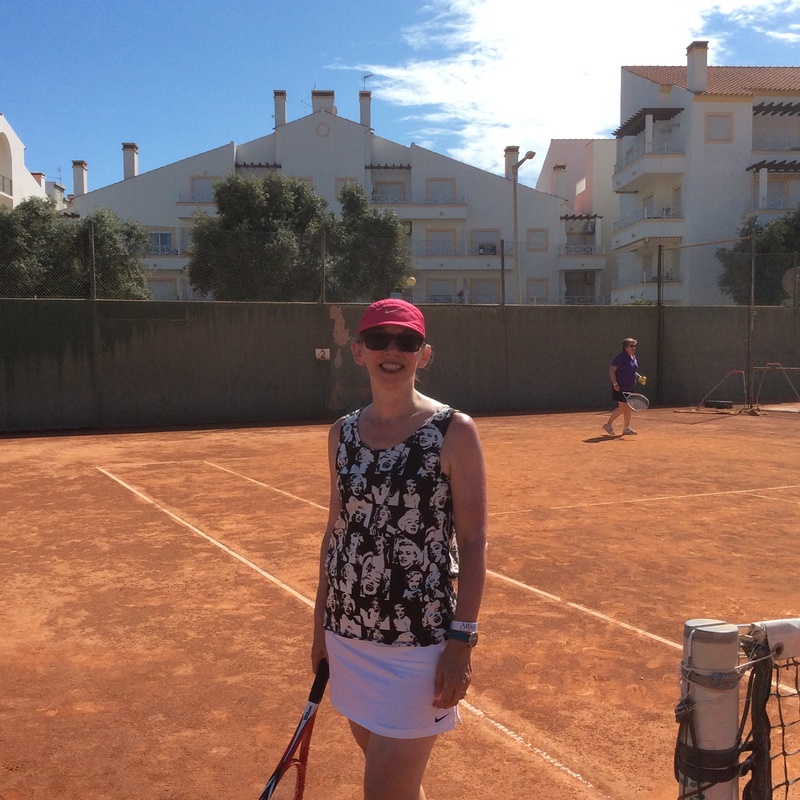 Today I am off to Portugal on a Tennis Camp with 30 girls from years 8,9,10. I am “in charge” of the 9s. 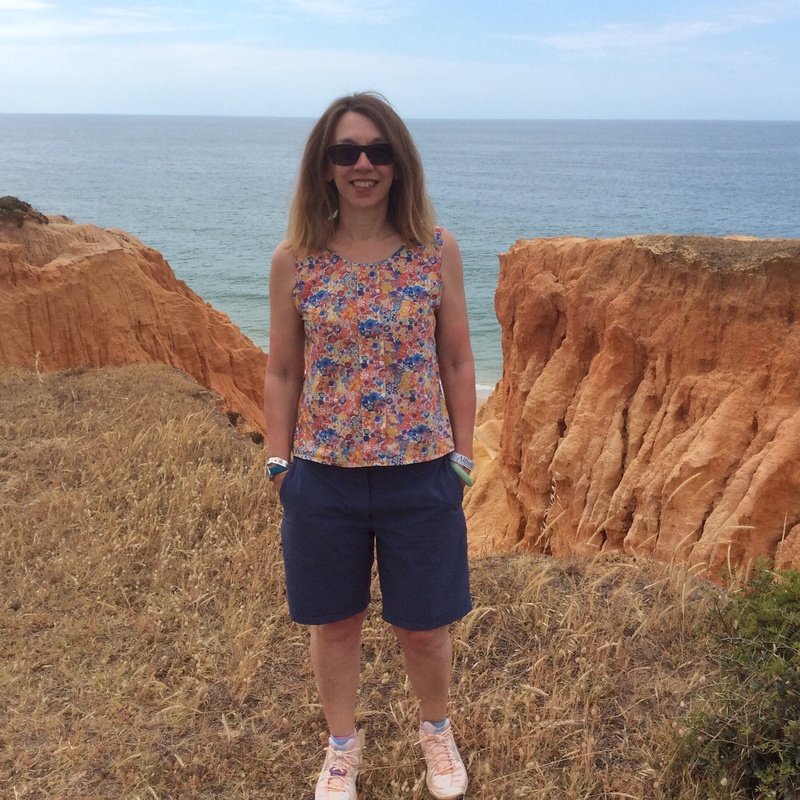 When my colleague asked me what I was wearing to travel in I replied ” high polka dot clogs because I can’t get them in my bag, Capri jeans, a top covered in tennis racquets with tennis ball buttons”. She laughed and continued to wait expectantly for my answer so I had to say, “seriously, that’s what I’m wearing.” I don’t think it looks too bad! 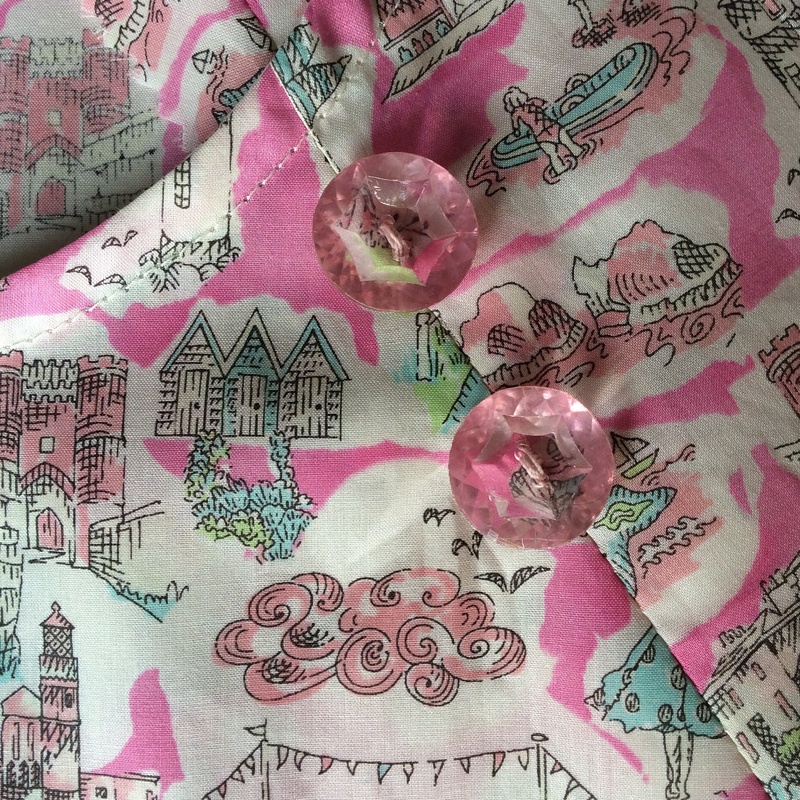 I usually make my Sorbettos out of scraps but I bought this fabric especially when I knew I was going on the trip. One night I woke up at about 2am thinking I wonder if they make tennis buttons so I had a quick internet search and got lucky! Anyway, I am just about to leave – I have a number of Me-Mades in my bag but none are sportswear. 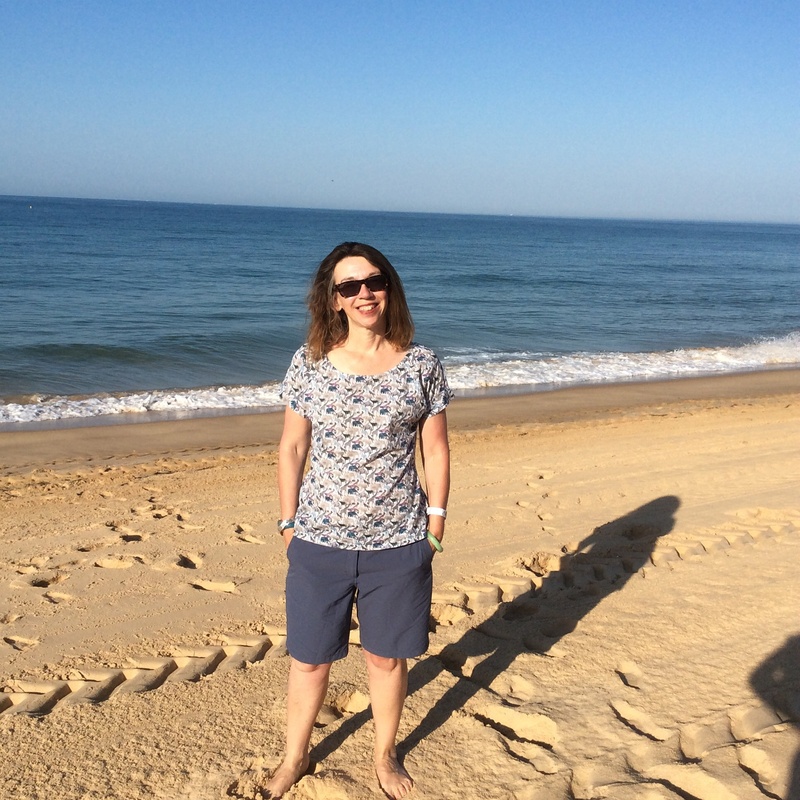 I hope you have a lovely half term – looking forward to posting my final week’s round up with many sunny shots! Also looking forward to seeing what you all wear for the final flourish. Hello all, hope you are enjoying the sunshine? It was slightly overcast in the morning. 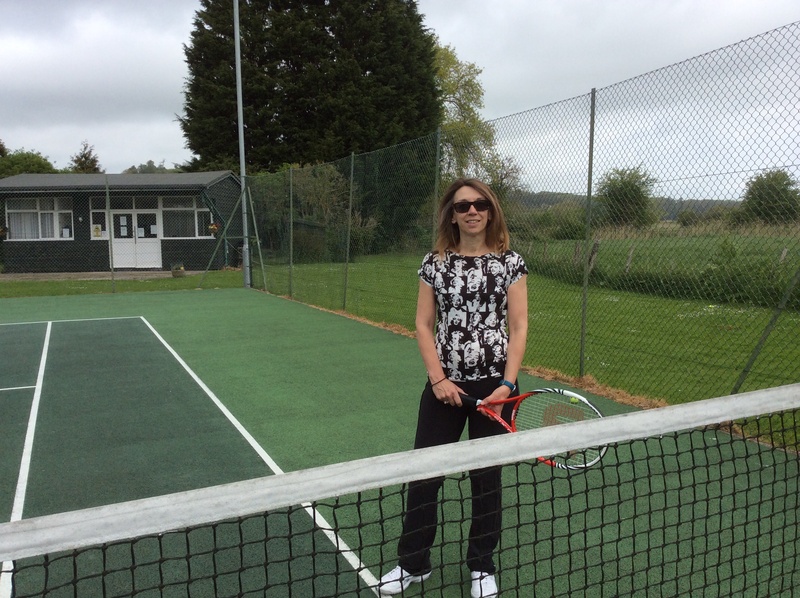 Wore my Maria in Denmark top to play tennis. I don’t know if you can see it but the print is of Marilyn Monroe. 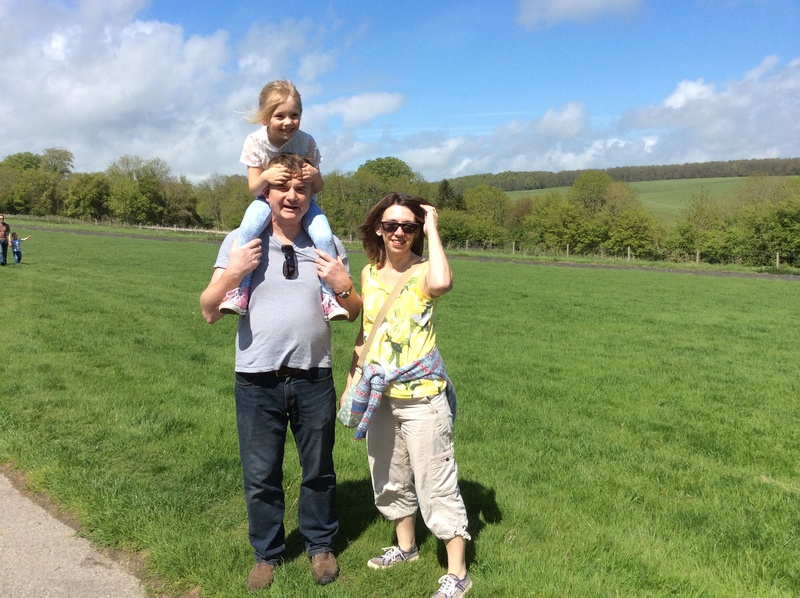 In the afternoon we did a 5K charity walk for the Snowdrop Trust. It was a really sunny afternoon and although there was the promise of tea, cakes and ice-creams at the end, the little people were quite weary for the last part of the walk. 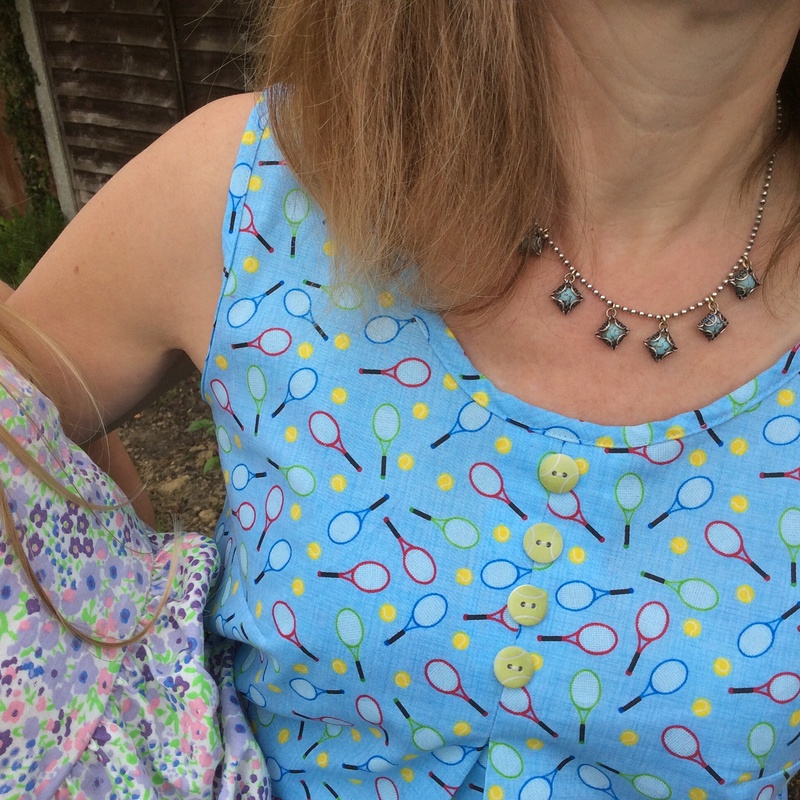 Didn’t really get a good picture of it but wore another one of my “Scrap Sorbettos” with leftovers from my Lemons Lilou which was my first ever blog post; now I’ve done fifty! Back to work in a Tilly and the Buttons Delphine. Almost forgot to get a picture today so this was taken in some lovely early evening sunshine. 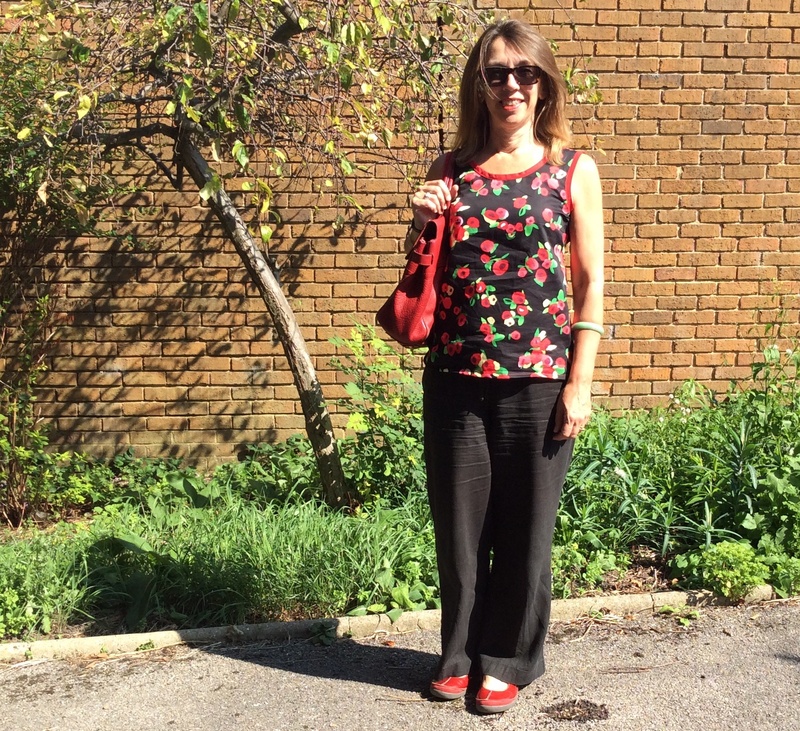 Another work day and this time I wore one of my Belcarra’s – this one made in Liberty Lawn Queue for the Zoo. I do love this pattern but think I need to go down a size. 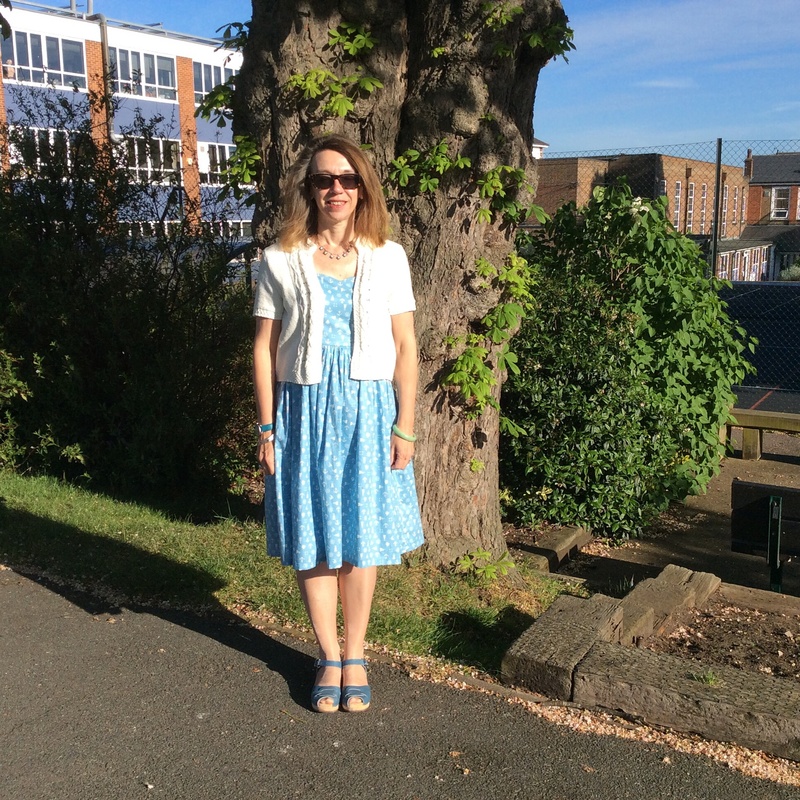 A gloriously sunny day – this photo was taken at school at about 7.45am Decided to be brave and wear my BHL Kim with a little cardigan. Wanted to look a little dressy as I was going out for supper with a friend I haven’t seen for a couple of years as he has been in Australia. Another day I almost forgot to get a picture. This is me slumped in a chair at the end of a long day. 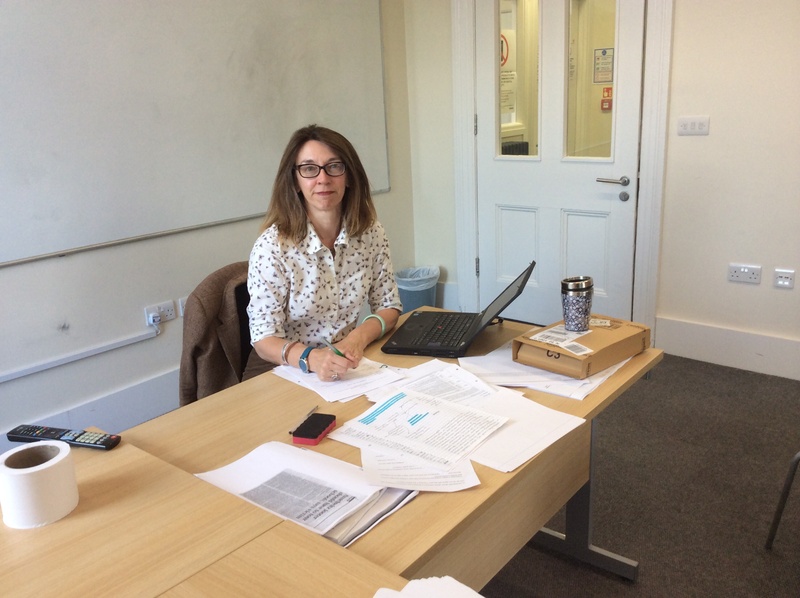 I do love my Sureau – one of my students asked me if it was “White Stuff” so that made me smile. It is funny quite how interested they are in your clothes! 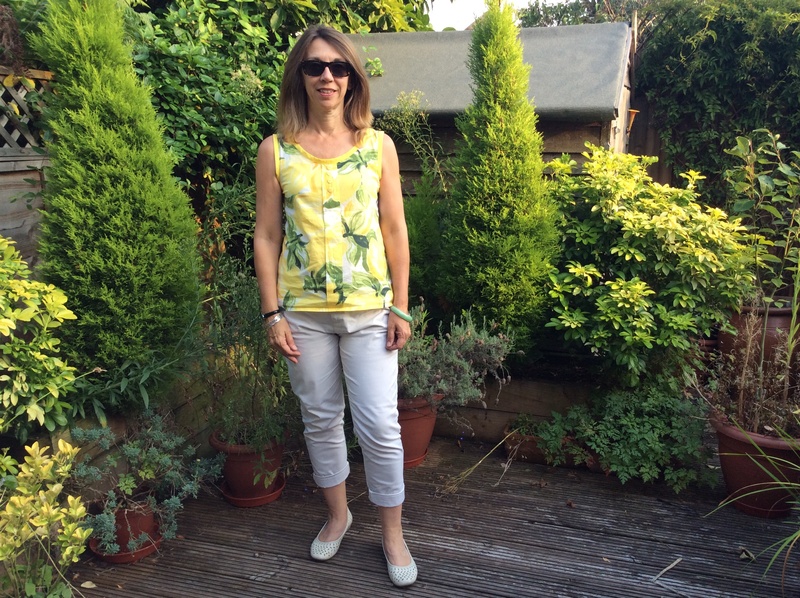 Thank goodness the week is over – here I am at home before going out for a curry, I wore another Sorbetto, also made in Liberty Lawn. I don’t know the name of the design but the lovely orangey hues really lift my work suit. 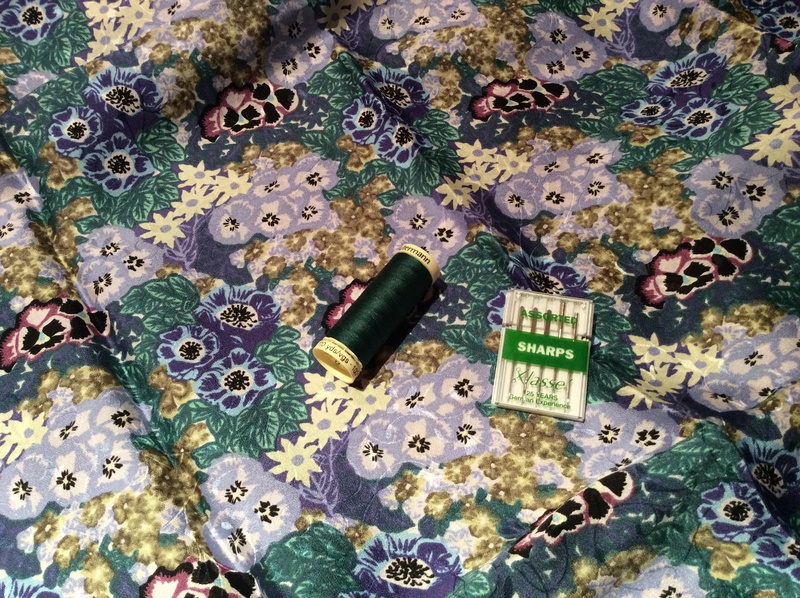 Big excitement – this gorgeous fabric arrived in the post. I had seen it on IG on #MMMay15 but annoyingly cannot remember whose it was. Anyway, I tracked it down and bought two meters. I did a little poll on IG to see what I should make with it and had a number of helpful suggestions. I have now cut out a KIM and guess what? 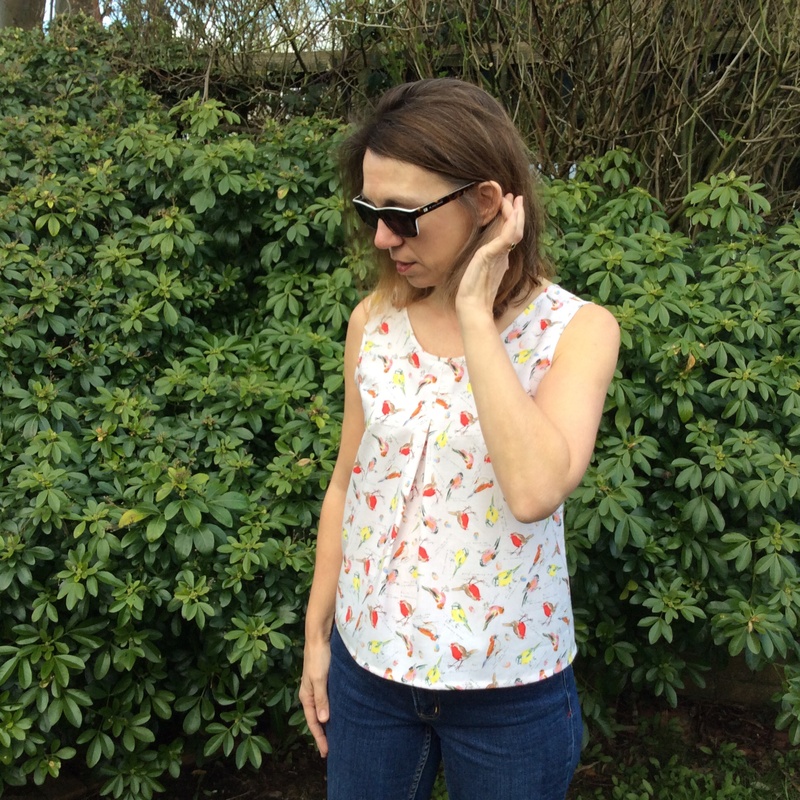 I had enough left over to make a “Scraps Sorbetto” which I am wearing today but you’ll have to wait until next week’s round up to see it – on check out my IG. 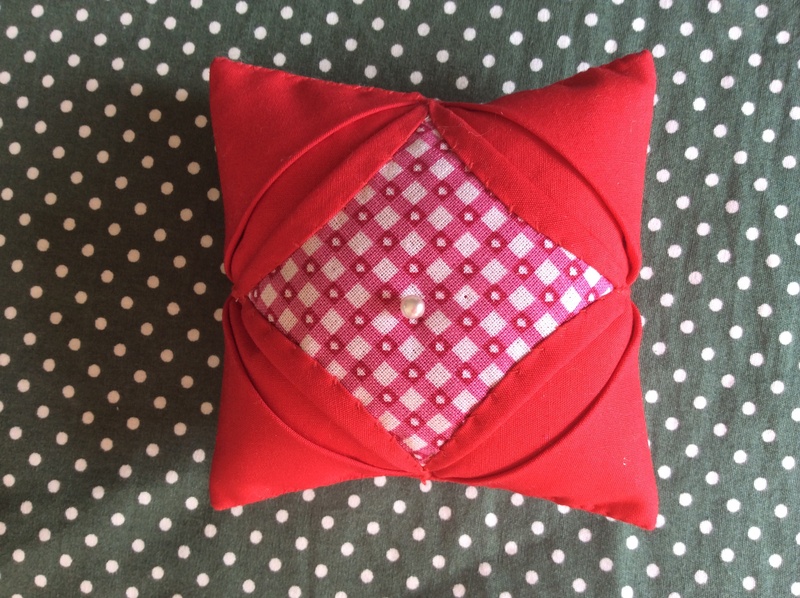 A day of pottering: local market and then sewing. I only finished the bias binding on this little top the previous day. It is made in this season’s Liberty Tana Lawn Alice in Wonderland fabric. What I have learned this week: I am OBSESSED with Sorbettos – I manage to squeeze one out of practically everything I make. In the case of Frieda Kahlo, I have actually made up the Sorbetto ahead of the dress which I had bought the fabric for. 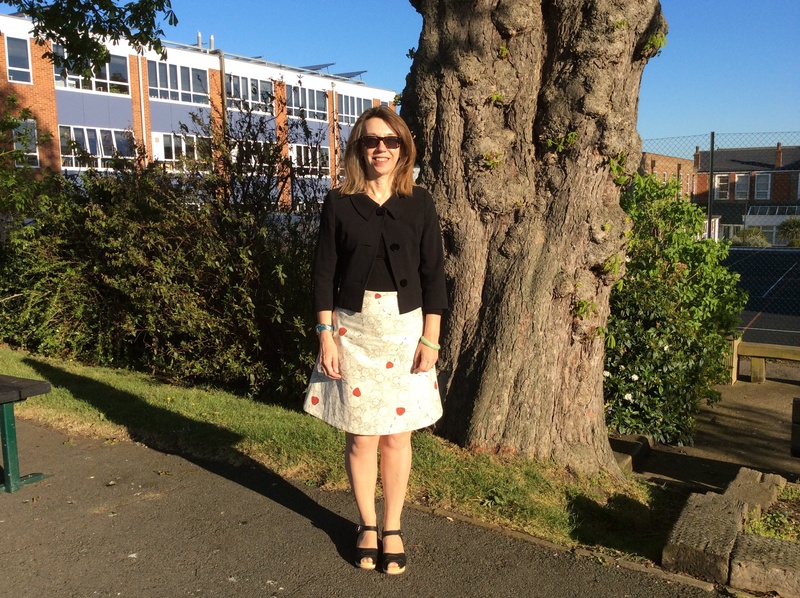 This week I wore three and made two! Will aim for more variety next week but as I am sat here in my new Frieda Kahlo Scarps Sorbetto don’t hold your breath! 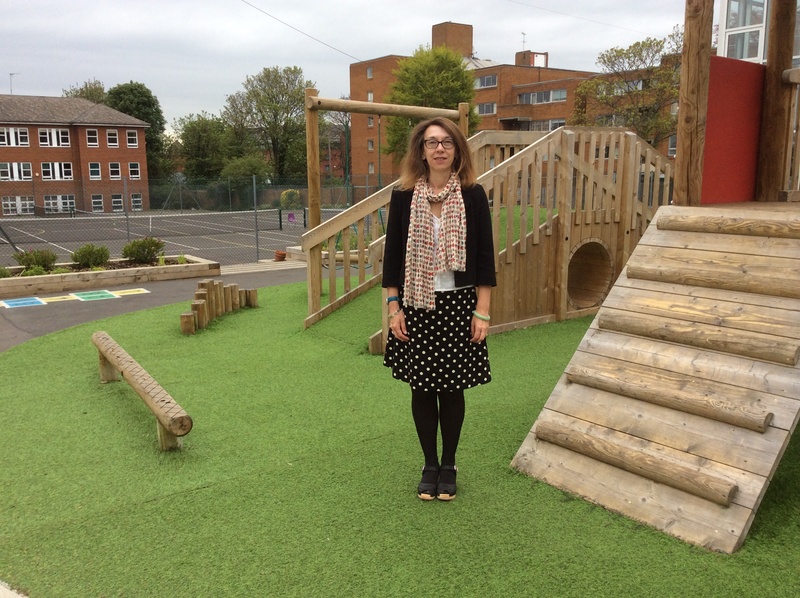 Thought I’d take the opportunity to write a little mid-week blogpost and make my pledge for Me Made May 2015. I find it astonishing that I am in a position to even contemplate such a challenge. 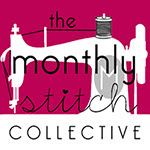 It was a year ago this month I bought my sewing machine and I remember that when I first started looking at blogs people were posting about MMM and I had no idea what was going on! Yet now I’m up for it myself and really looking forward to participating. 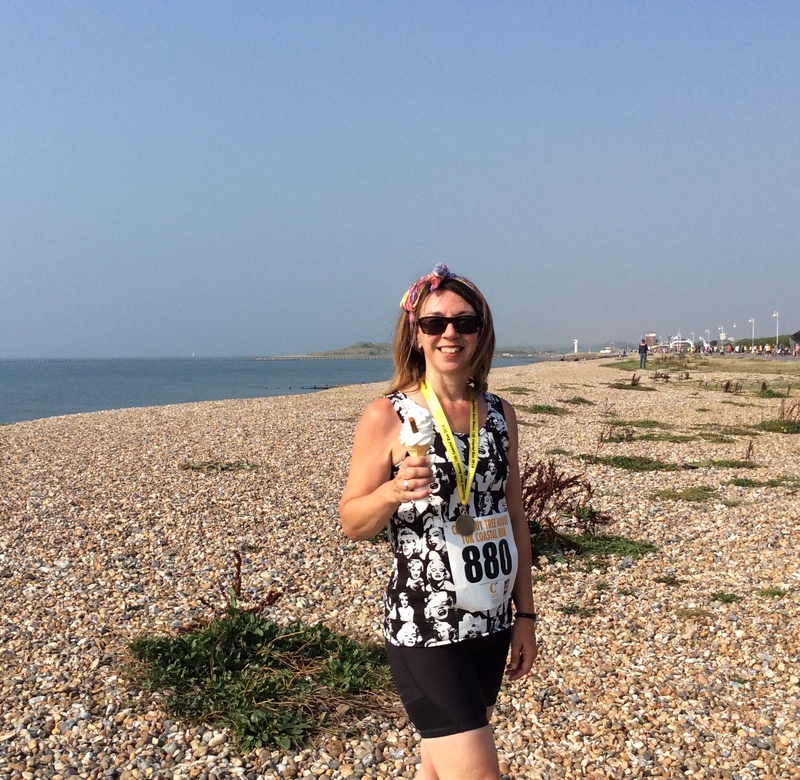 Look … I even had a little dummy run today. 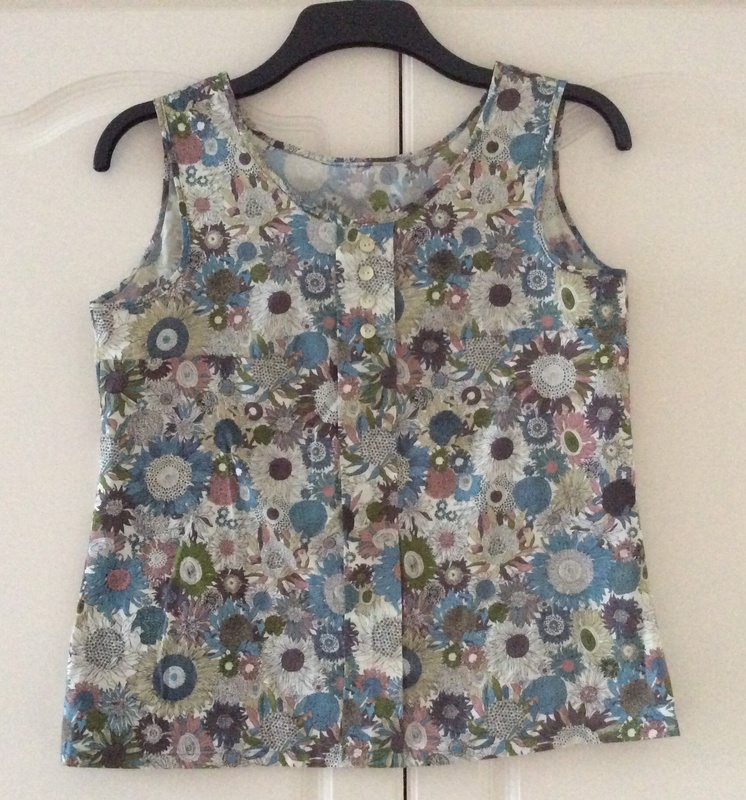 Apart from my myriad of Sorbetto tops, most of my makes are quite patterned and not really sensible teacher fare. This is my strawberries and ants Delphine blogged about here. 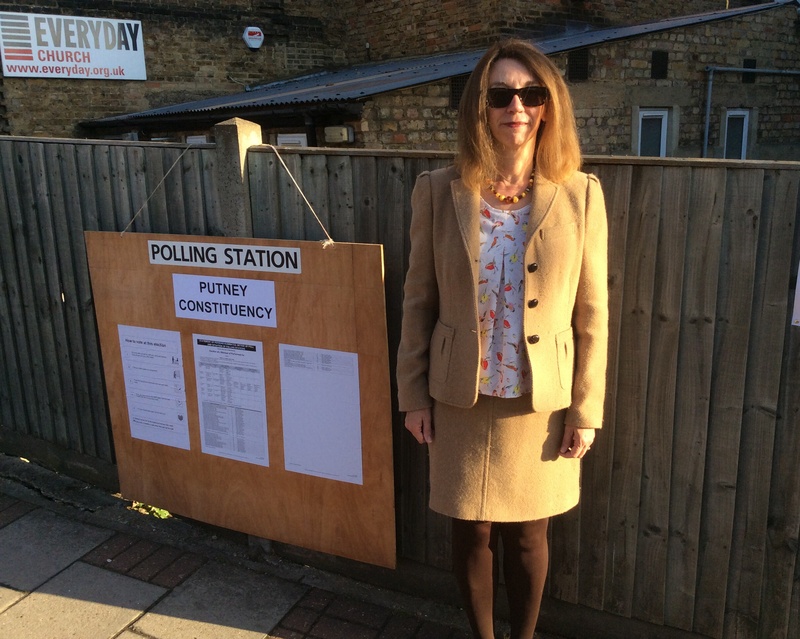 I think by wearing everything else in black I just about got away with it but May will need some careful thought. 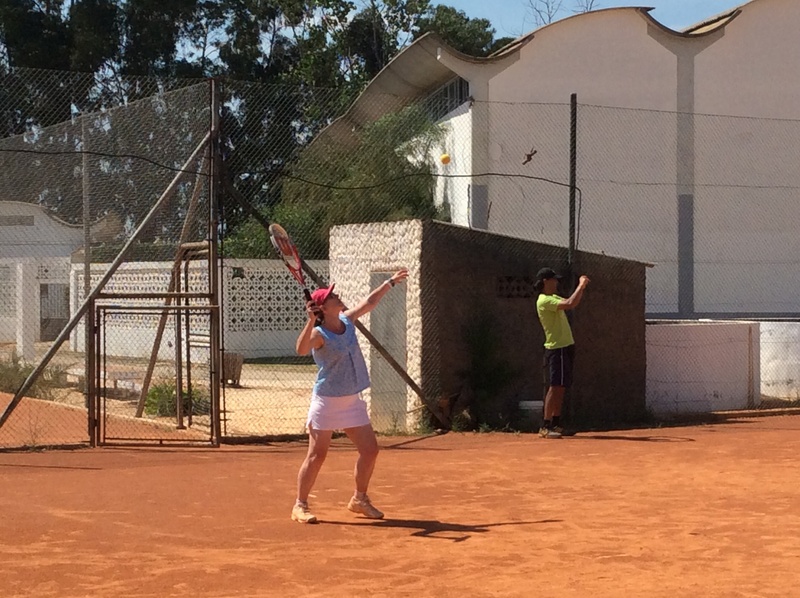 The trickiest bit will be that for the last week I am on a school trip: a tennis camp in Portugal. 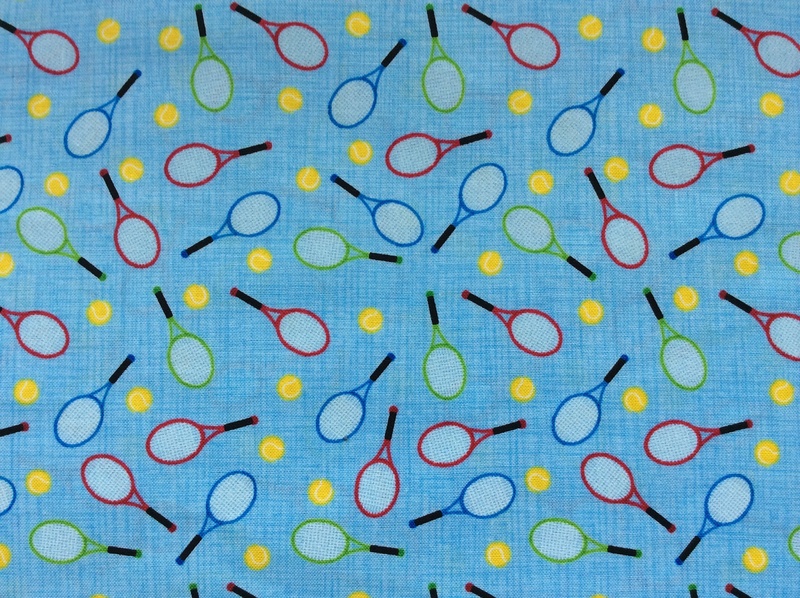 I will be in sports clothes pretty much all week but I have bought some fabric with racquets to make a ….. Sorbetto and, I’m really excited about this, I have managed to buy some wooden buttons in the shape of tennis balls! It looks as if I’m the 235th person to sign up – how great is that? Clearly we are all part of a vibrant, enthusiastic group and I am looking forward to seeing what other people have been making and finding some new blogs to follow. 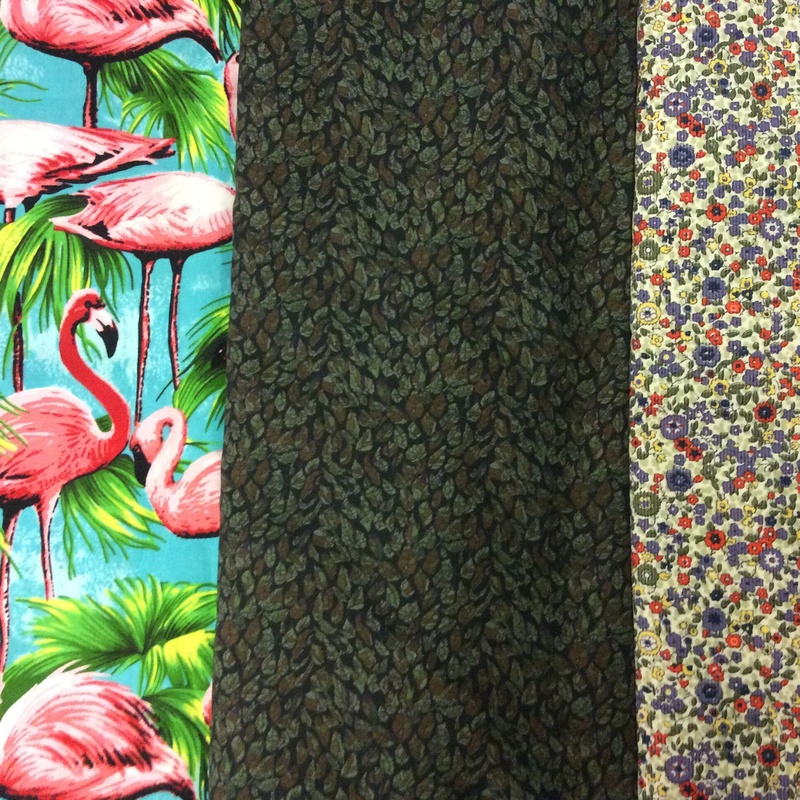 I bought some gorgeous fabric at the weekend – three different Liberty Tana Lawns. I have already cut out the Daisies: two ties; one Belcarra (gift for my 2ic who is leaving at the end of this term); one Sorbetto. I was really pleased with how far I was able to make two metres go but it took me almost four hours because I kept re-jigging everything. The ties are made all bar the hand sewing, which is my little treat tonight. 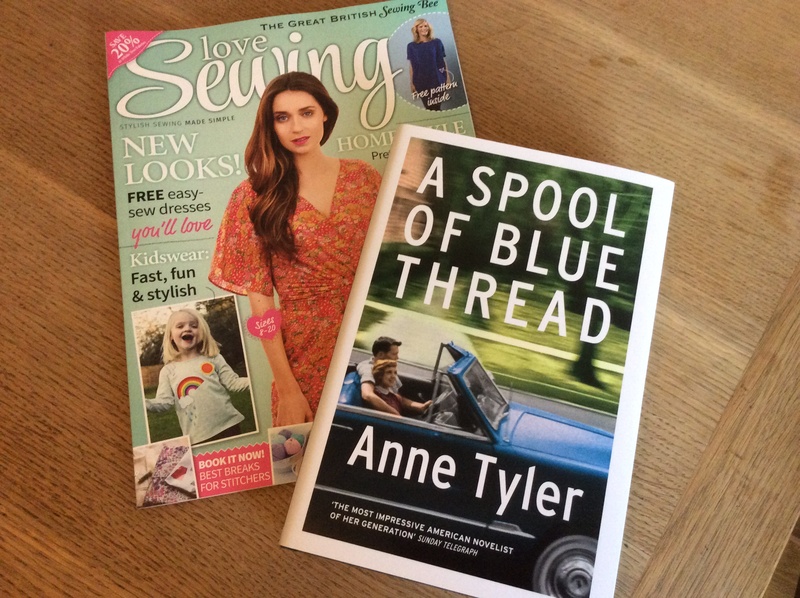 If you follow this blog you might remember that I bought myself Anne Tyler’s A Spool of Blue Thread for my Easter reading – seduced 100%, not my the cover but by the title: I thought it would be something to do with sewing – doh! I had anticipated it would be about a quilt making community or something similar and would explore the secret lives of the members etc. Well, I finally finished it tonight. 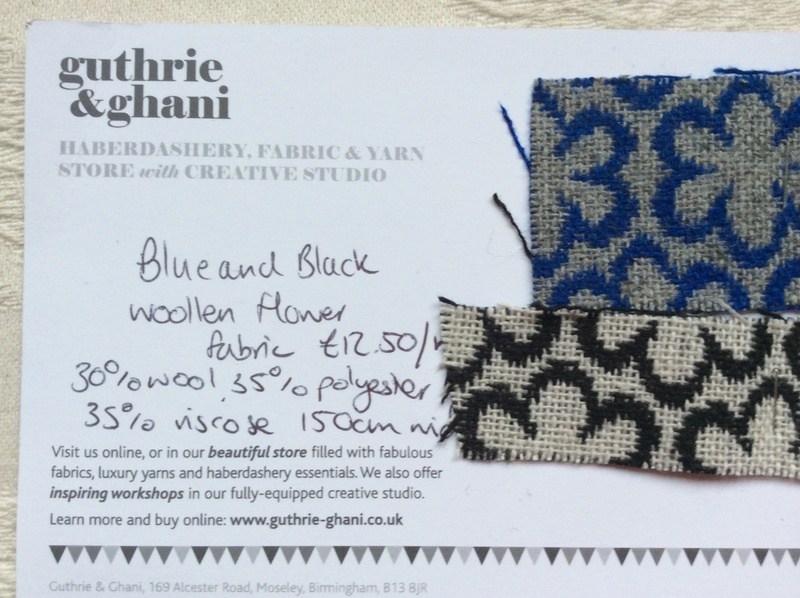 Having ploughed through it I had concluded that the blue thread was metaphorical and then, on page 350 out of 357, there it was, a spool of blue thread which appeared to symbolise forgiveness, or it might just have been …. a spool of blue thread! 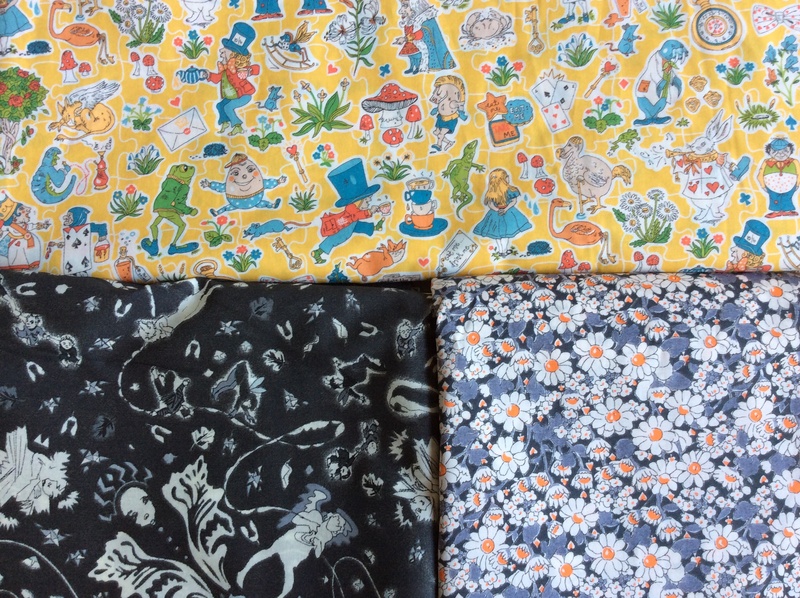 Back in January I went shopping to Ditto Fabrics for the first time and bought four fabrics for my stash (who am I kidding – I didn’t really have a stash and I wanted one) which I write about here. 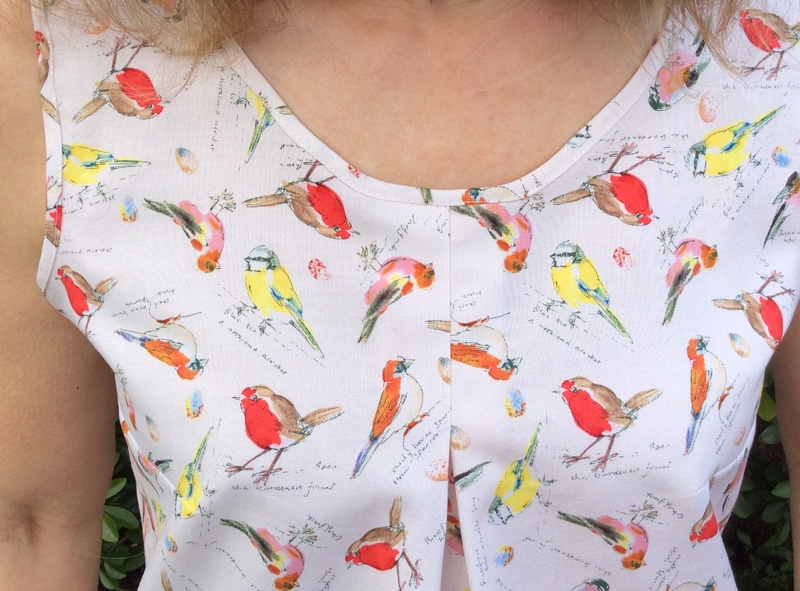 About one of the fabrics I wrote “as for the bird fabric – who knows? It just looked so sweet I couldn’t resist it. Any suggestions for one metre?” Well, there were no suggestions at all until April’s challenge was announced for the Monthly Stitch Collective and I knew my inspiration had come to use my rather lovely watercolour garden birds. As I only had one metre I went for my old faithful the Sorbetto but having had a look at some other Sorbettos on Pinterest I decided to follow others and do a variation. 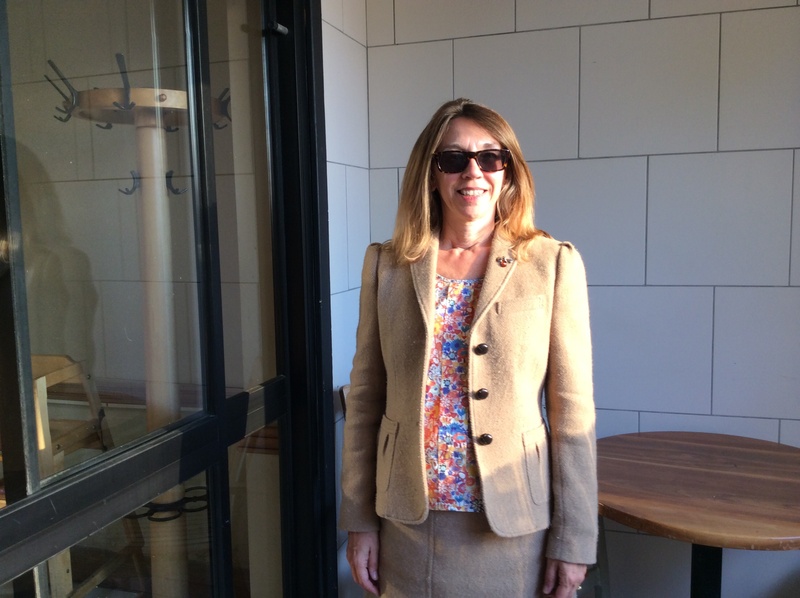 I am not sure I would go so far as to say I braved “a hack”; I merely inverted the pleat. 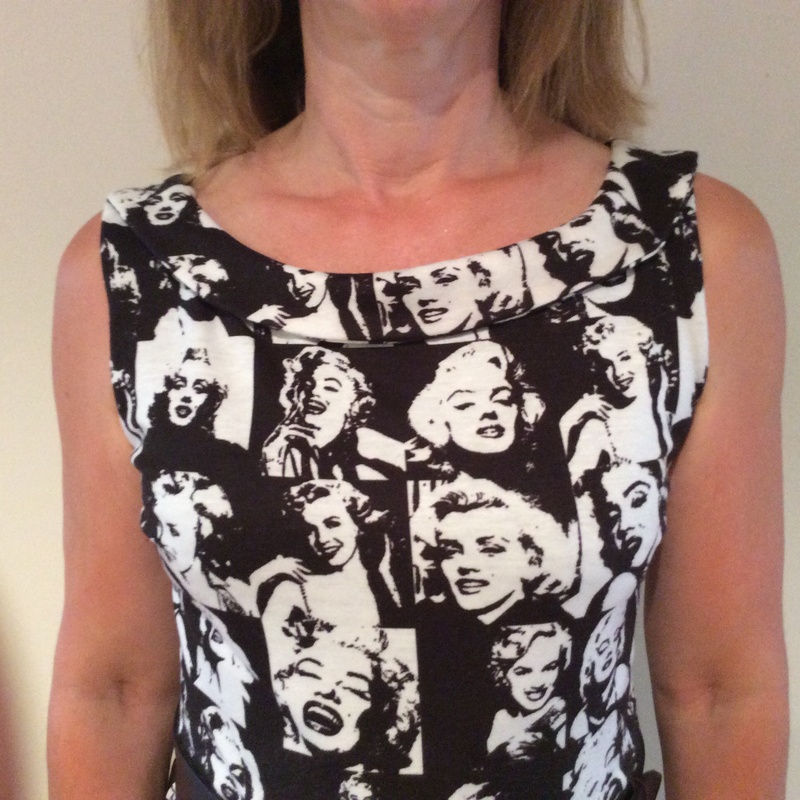 Some stitchers had let the pleat flow directly from the neckline whereas others had sewn down a little way – I went for the second option. It’s super sweet. It’s funny but I hadn’t really thought of the Sorbetto as being structured but it is rather stiff/formal when you compare it to the inverted pleat version which falls in a very feminine way. I really like it! Surely Collette’s Sorbetto must be the most frequently downloaded free pattern? There’s not much more to report. I generally add three inches to the bottom of a Sorbetto but I didn’t have enough fabric available. I’ve now used up three of the four fabrics I bought on that shopping day. The one remaining is the doggie pattern. 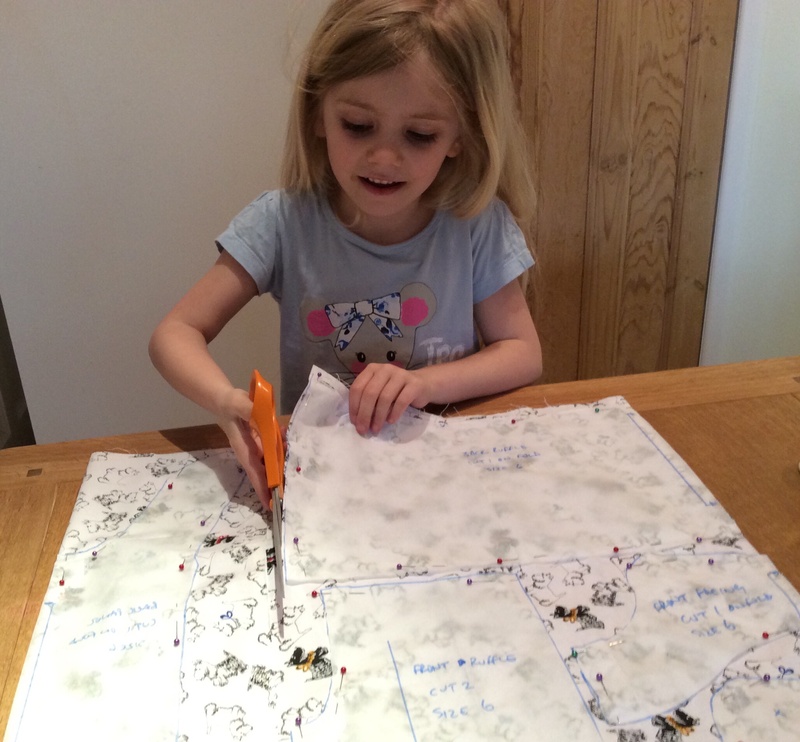 I had ear-marked that for a shirt but over Easter we had a little family sewing day and I “supervised” the cutting out of a cute summer dress – which was immediately abandoned as interest was lost (not by me!). 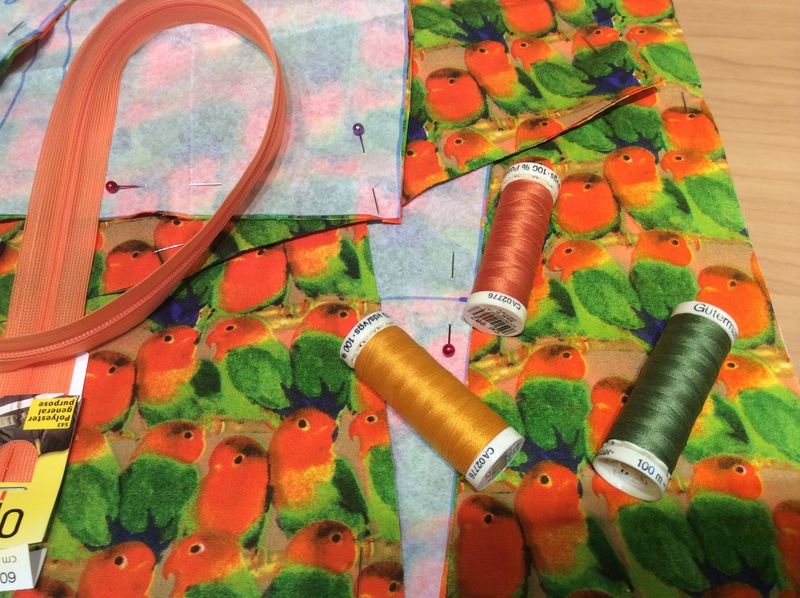 So it’s good to see that the next challenge for the collective is some children’s sewing so I will resurrect it at some point during May – probably the half term week. This was my first ever knit and I was particularly proud of myself when I had completed the bodice. I followed instructions from The Colette Guide to Sewing Knits having bought myself a walking foot and a twin needle. 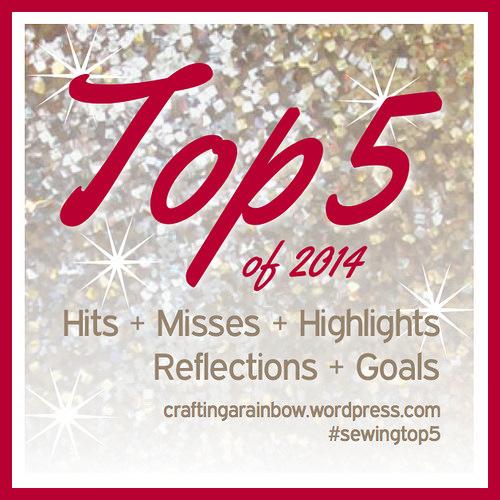 This post could have made it into the Misses of the year due to my failure with the twin needle and the clear elastic – both of which have still eluded me and will be goals for 2015. However, the sheer fun to be had from the fabric and the pleasure of completing my first knit puts in firmly in the Top Five Hits post. 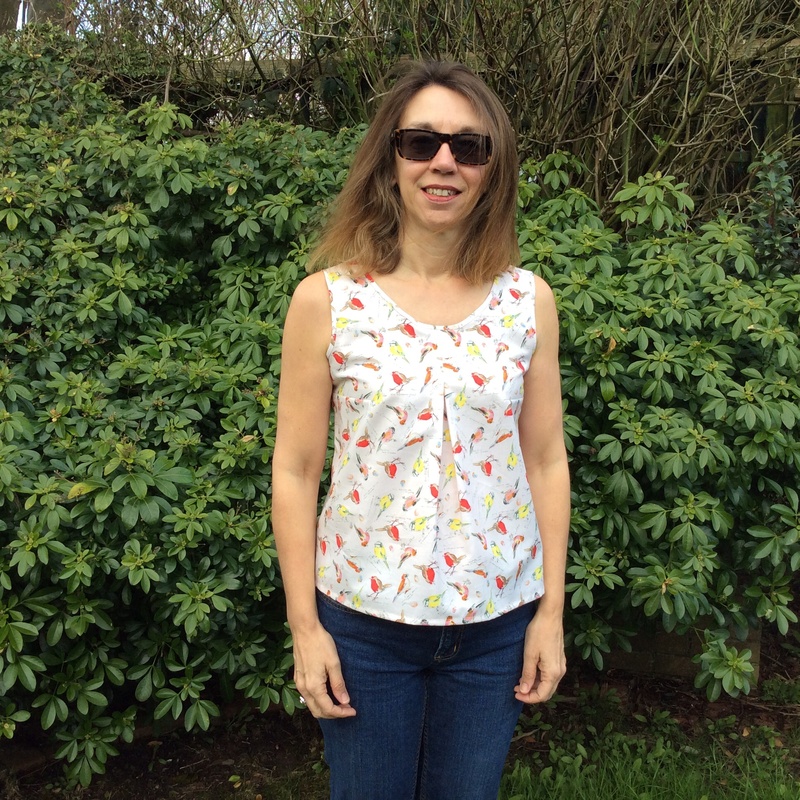 Having only been sewing since Easter I did not really have much of a choice for my One Week One Pattern – it had to be the Sorbetto – which I love. The skill I most enjoyed learning from this make was bias binding. It was through this that I discovered The Little Tailoress and her super helpful tutorials. 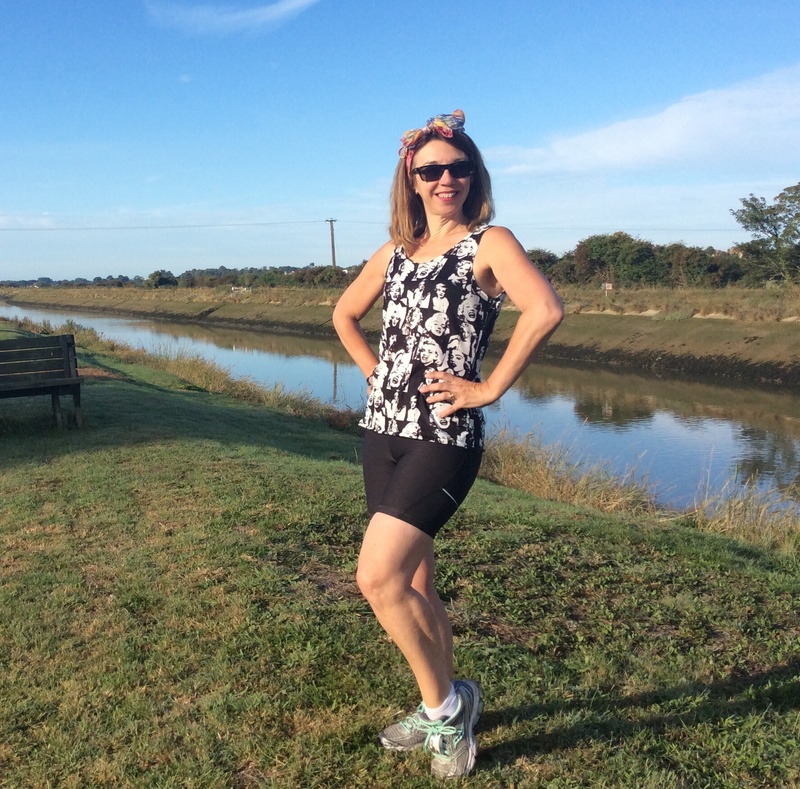 Here are three of my five Sorbettos from that week, including a running top I made from some of the leftover Marilyn knit – as you can see I take my race preparation very seriously. My participation in this event was a HIT for another reason. 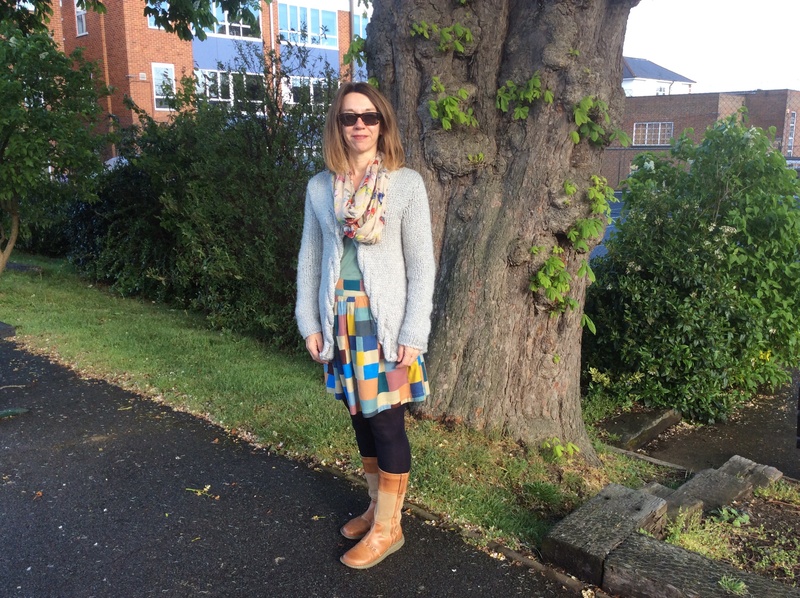 I entered a giveaway competition by Handmade Jane who organised this year’s OWOP and won my choice of three patterns. Having this announced on her blog gave me by biggest number of hits in one day – 99 – the likes of which have never been seen since so as a new blogger this was very exciting for me in addition to the delight of wining three patterns – which will feature in a future post. How I love my Sureau. 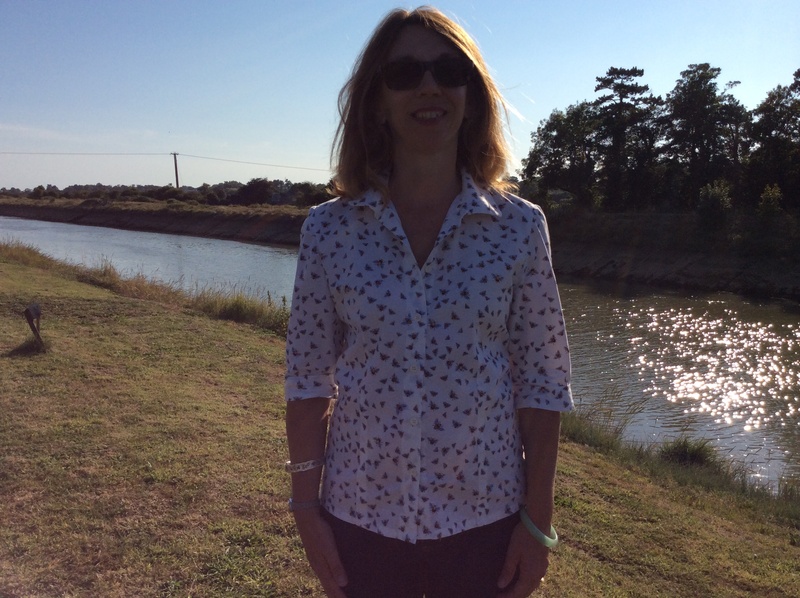 I adore the button placket at the front and the easy comfortable styling. I would say this is the make I wear the most. It is super comfortable and always gets favourable comments. I plan to make more, many more. This could be the garment for OWOP15. 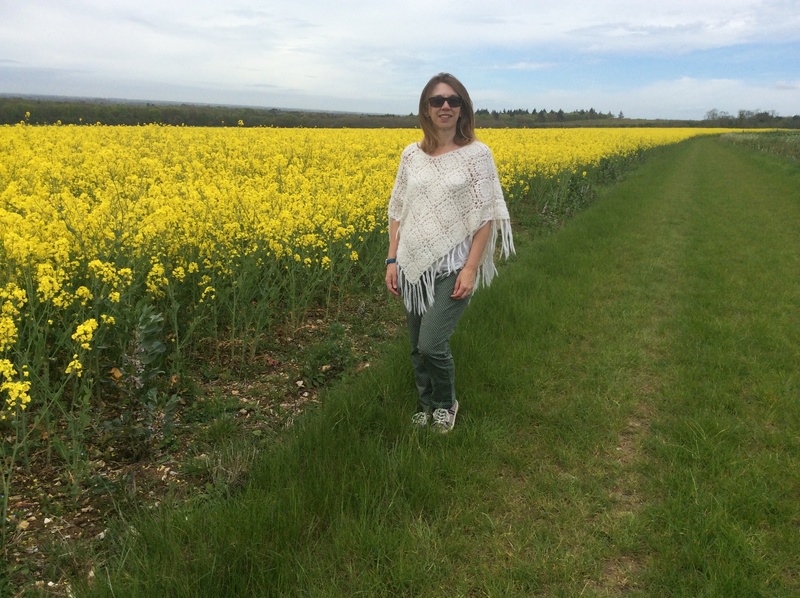 I do enjoy knitting – I was a knitter long before I could sew but like many other hobbies of the past it was long forgotten but my interest has been reawakened and I now knit regularly on my commute. 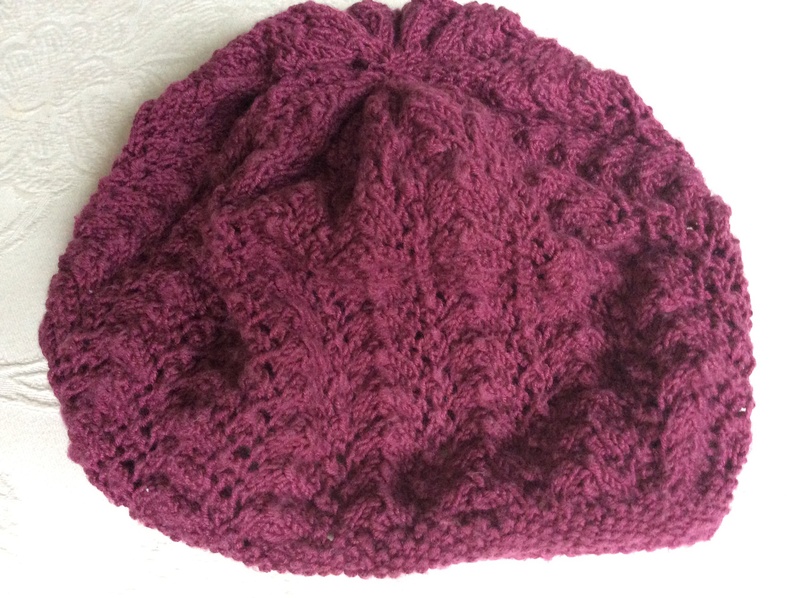 This little beanie was my first time of using both circular and double ended needles. I really enjoyed making it up and knitting is such a useful thing to have in your handbag for a spare ten minutes – imminently more portable than a sewing machine. So, four more posts to come. 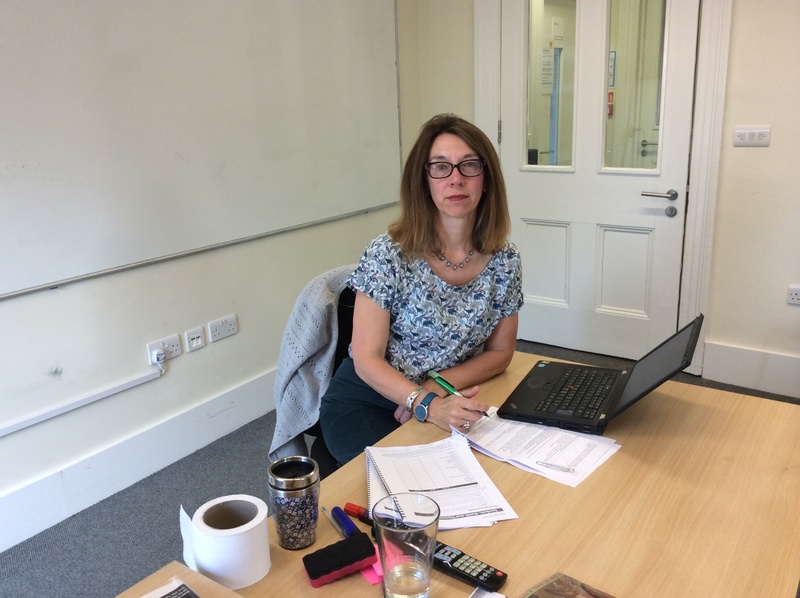 I am looking forward to pondering about what to include and then writing them; I hope you are looking forward to reading about my Misses, Highlights, Reflections and Goals!